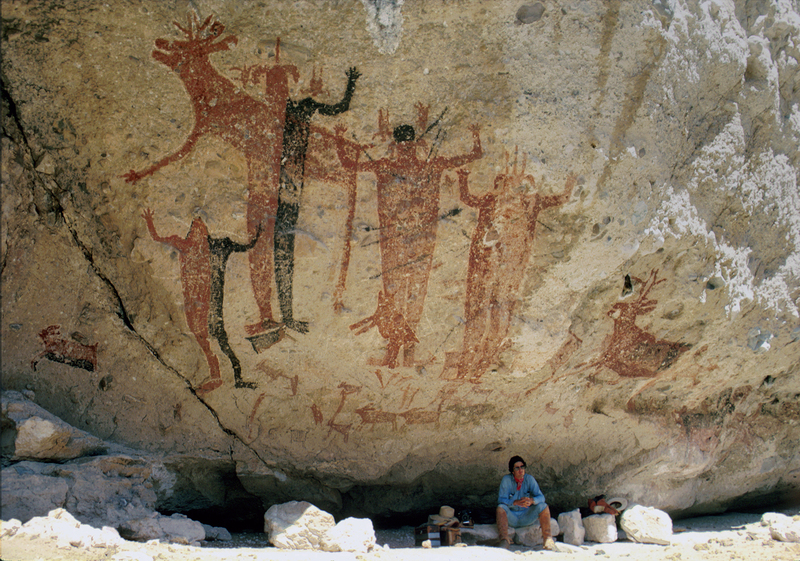 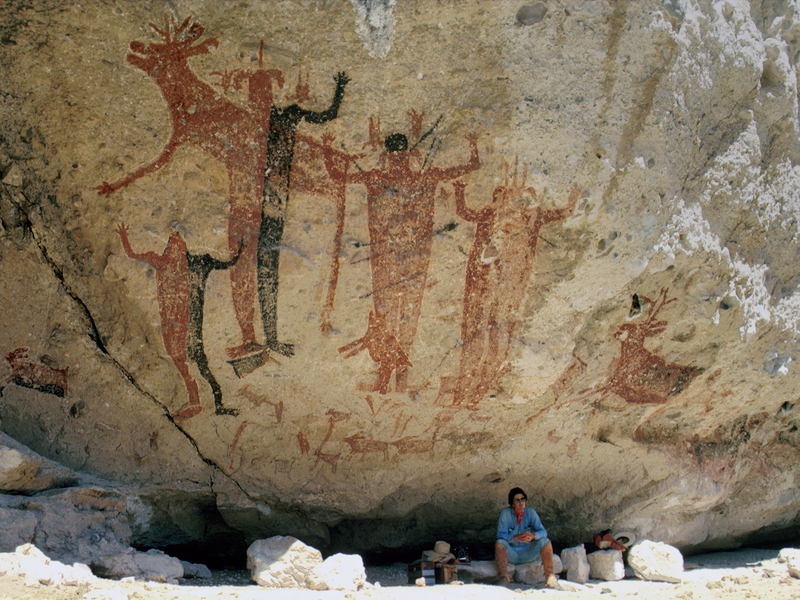 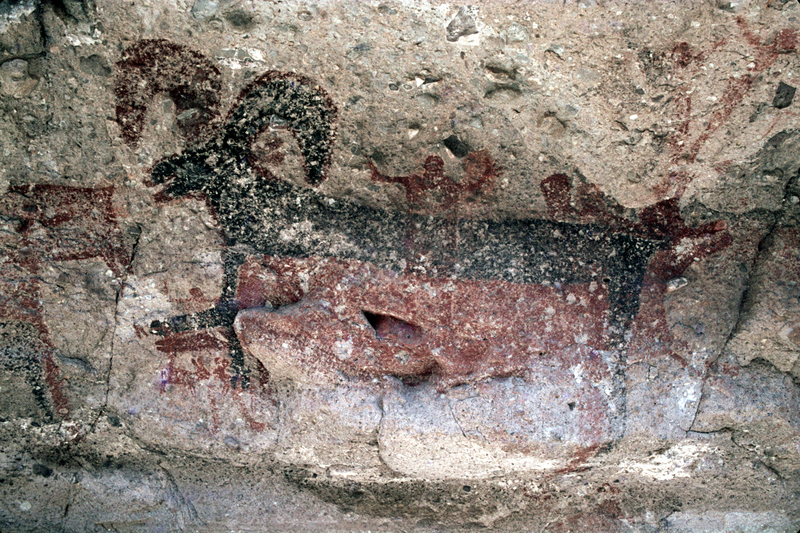 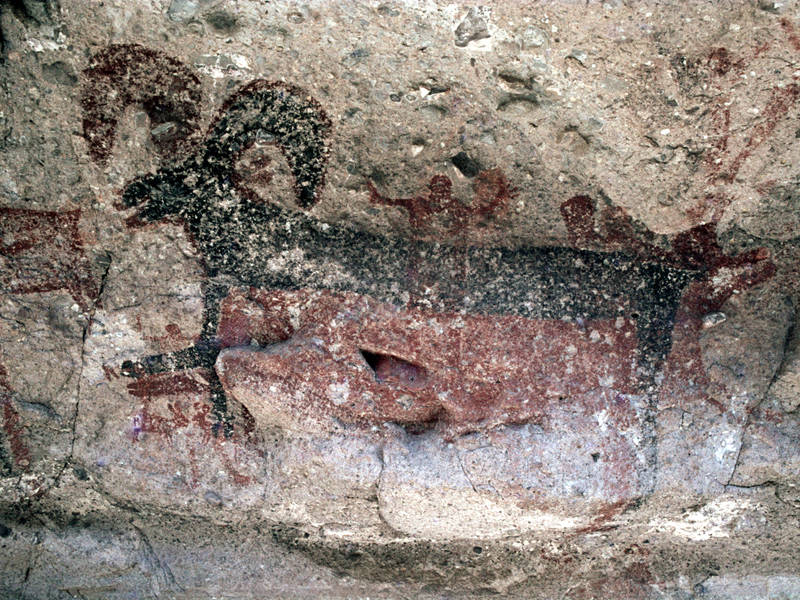 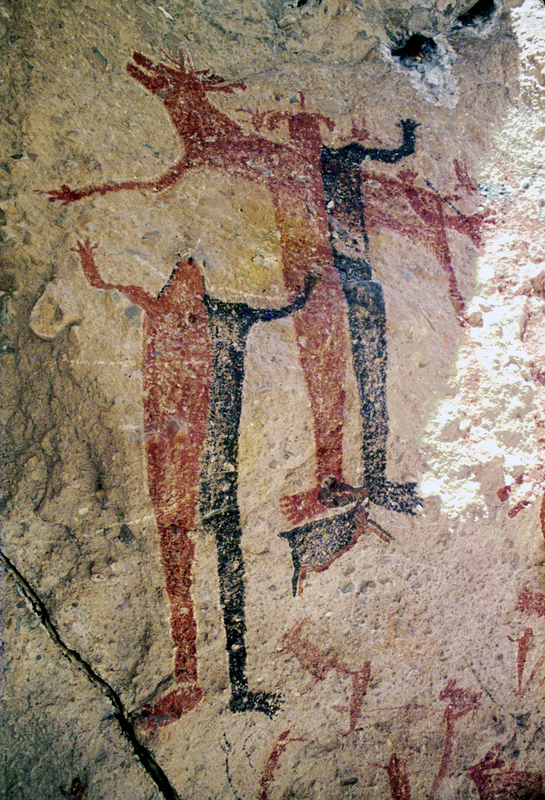 The Baja Great Murals Gallery presents a selection of photographs reflecting the scale and variety of rock paintings from the Baja California peninsula of Mexico, from the Sierra de San Borja in the north, through the Sierra de San Juan and the Sierra de San Francisco to the Sierra de Guadalupe in the south. 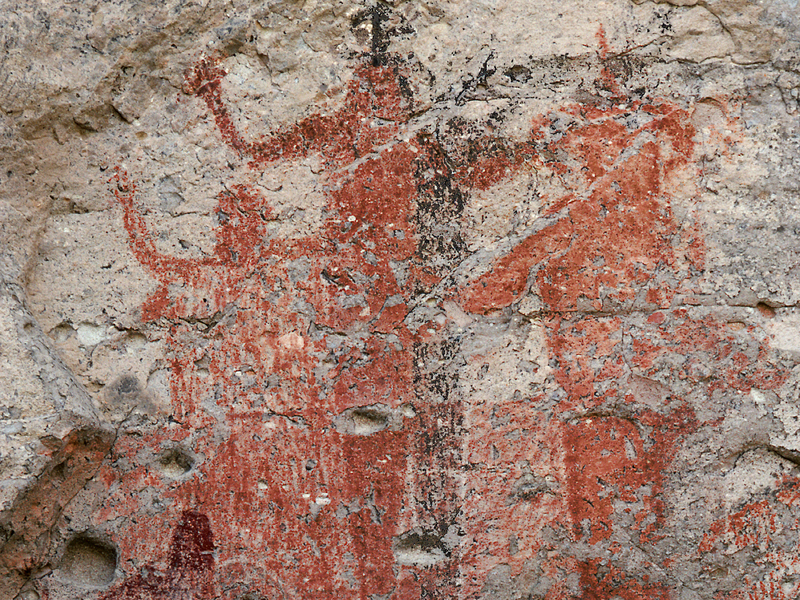 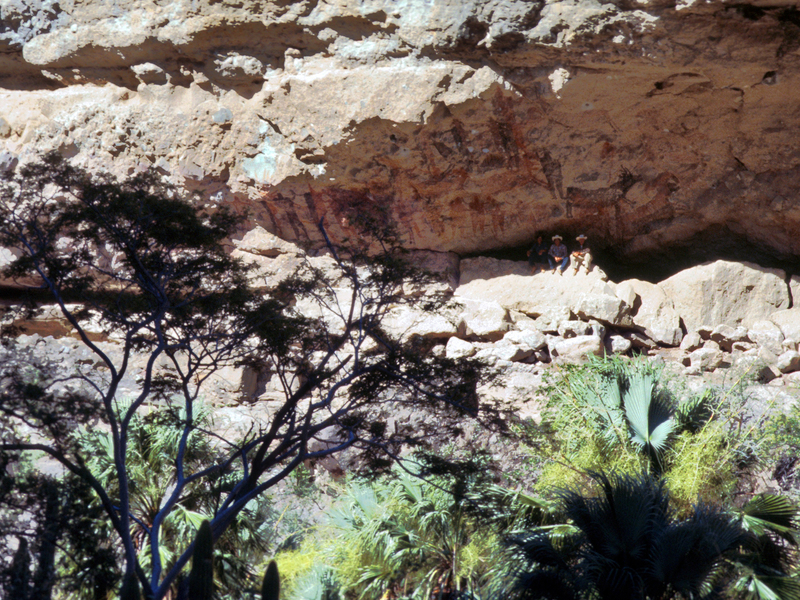 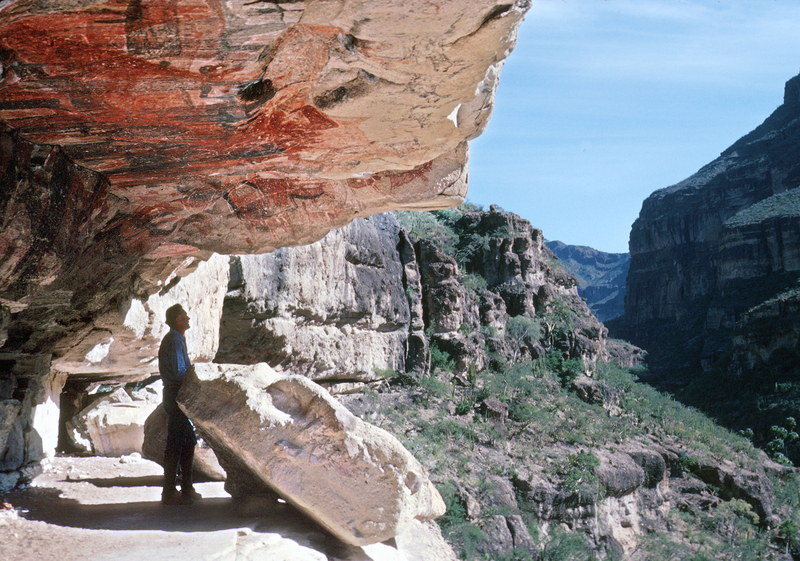 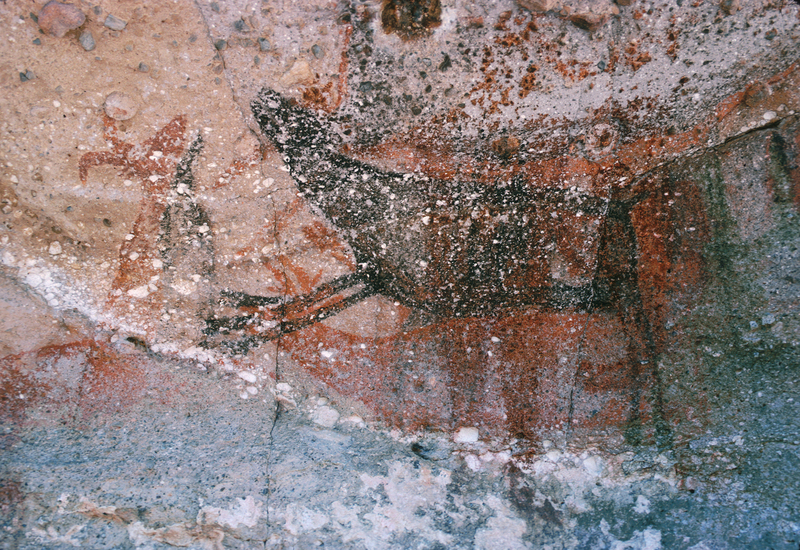 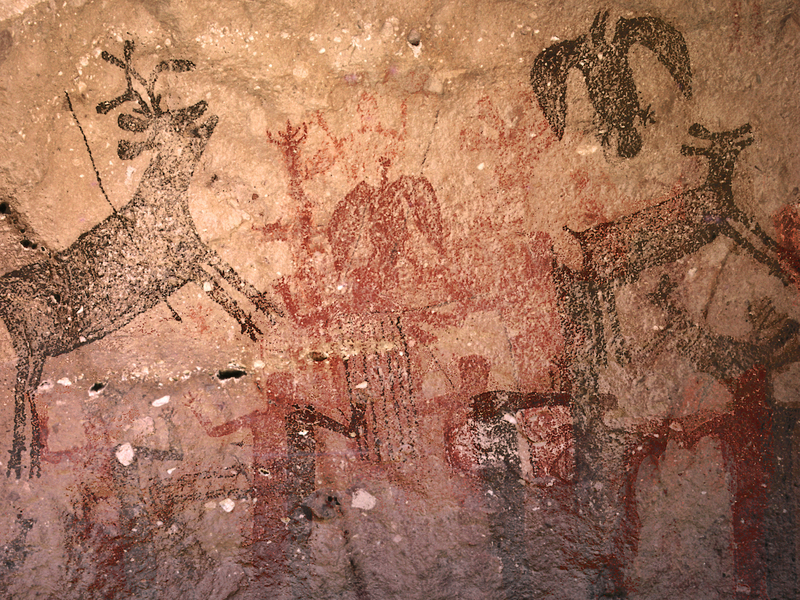 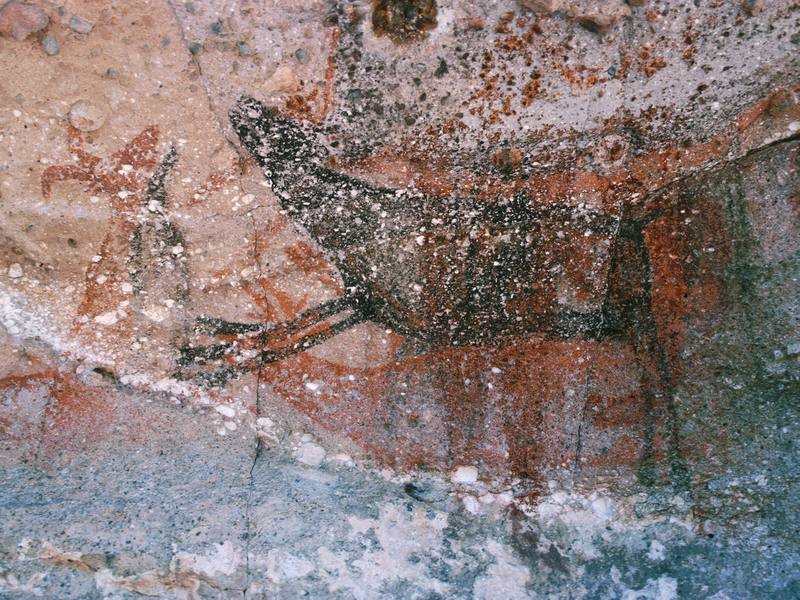 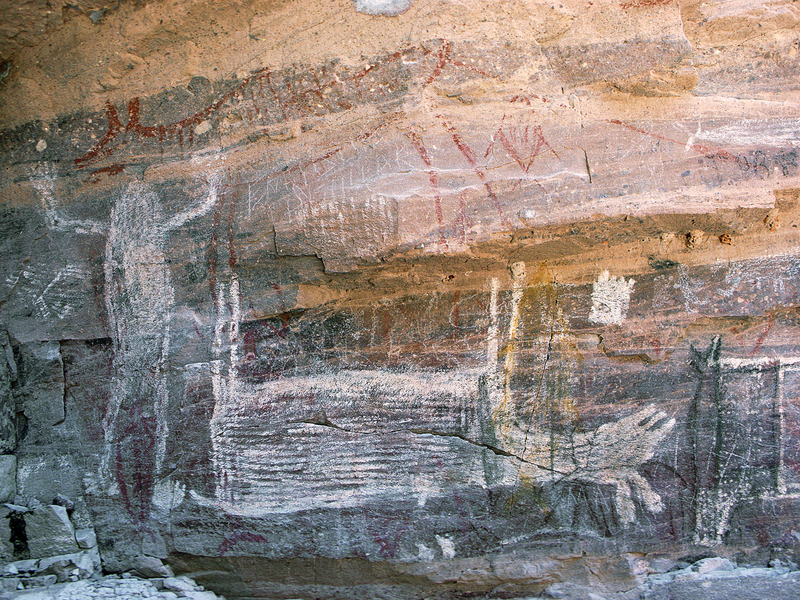 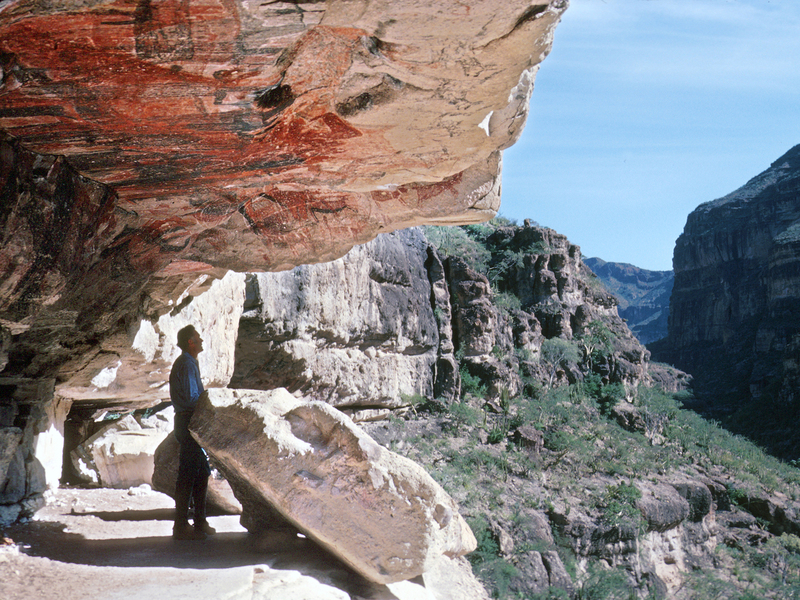 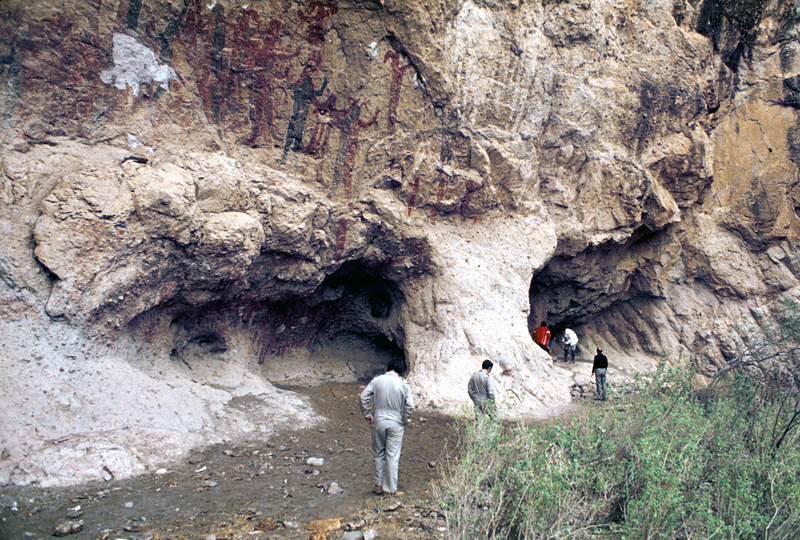 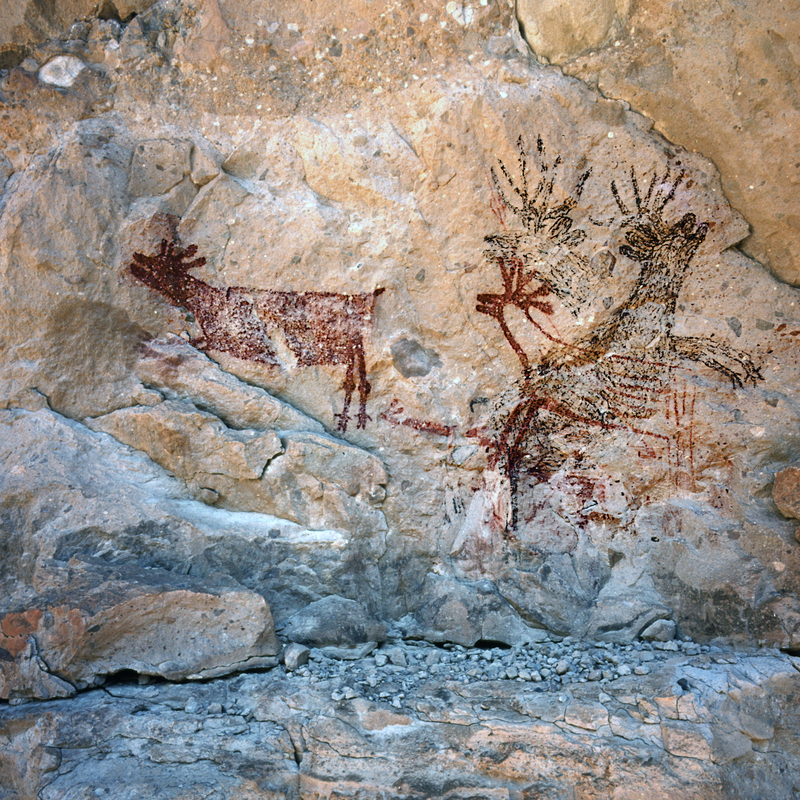 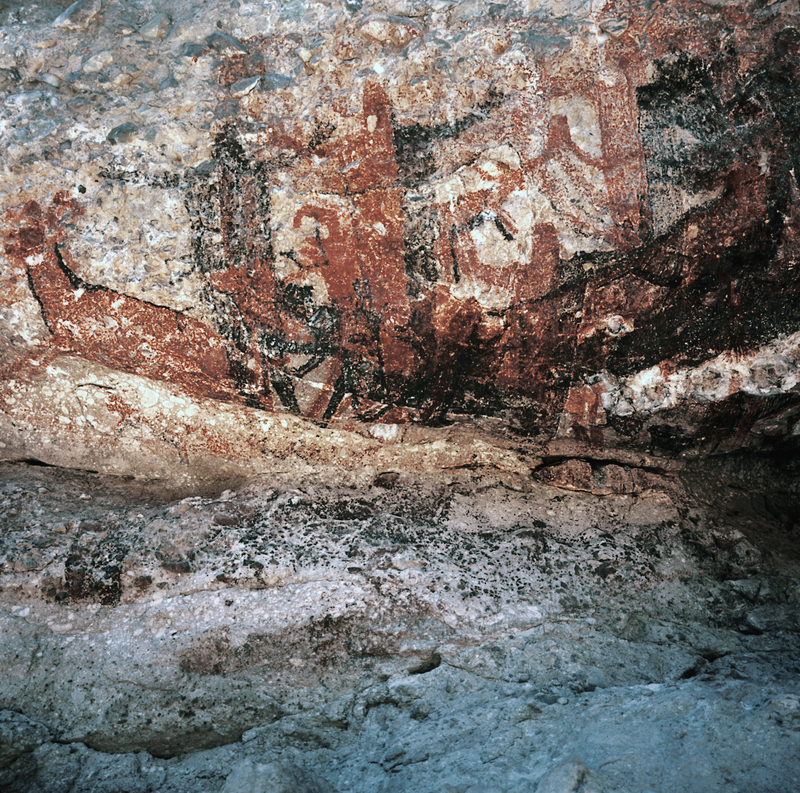 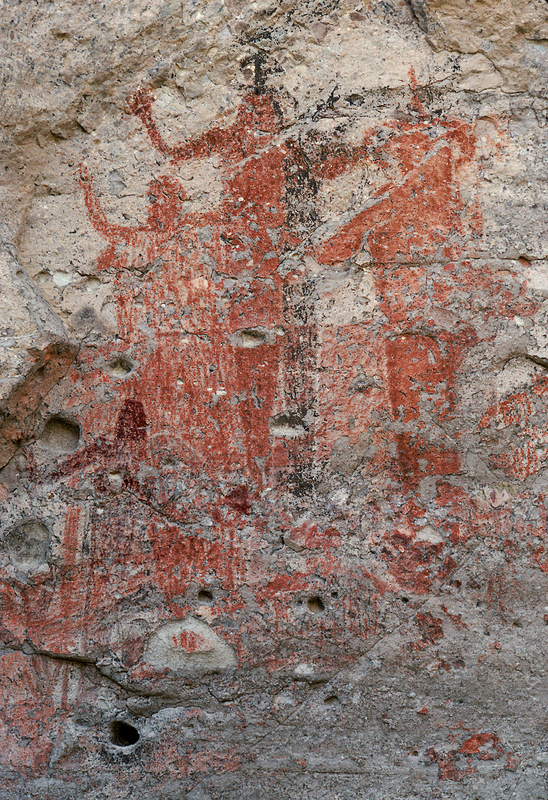 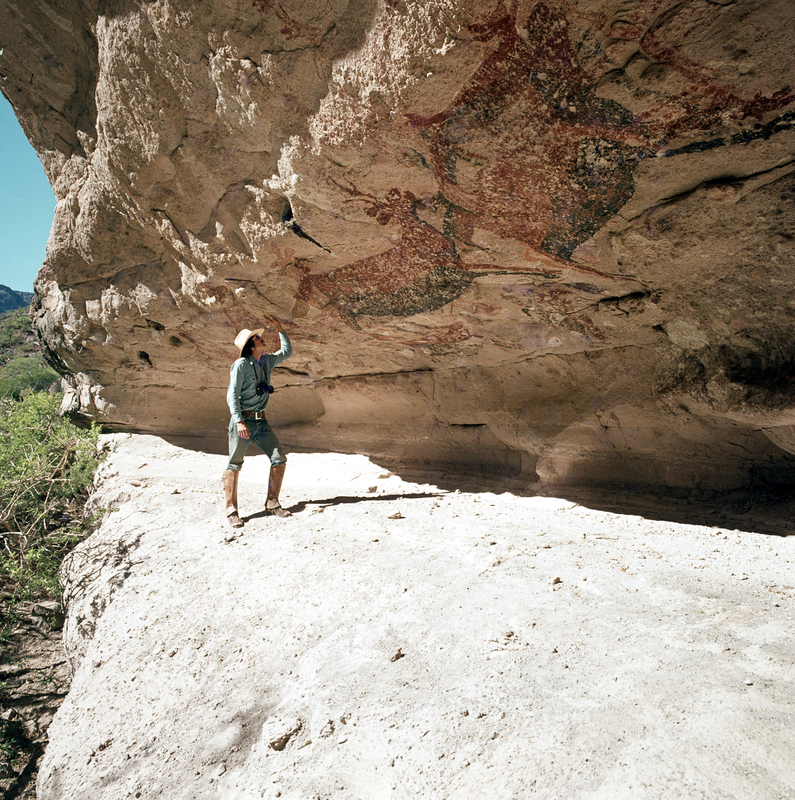 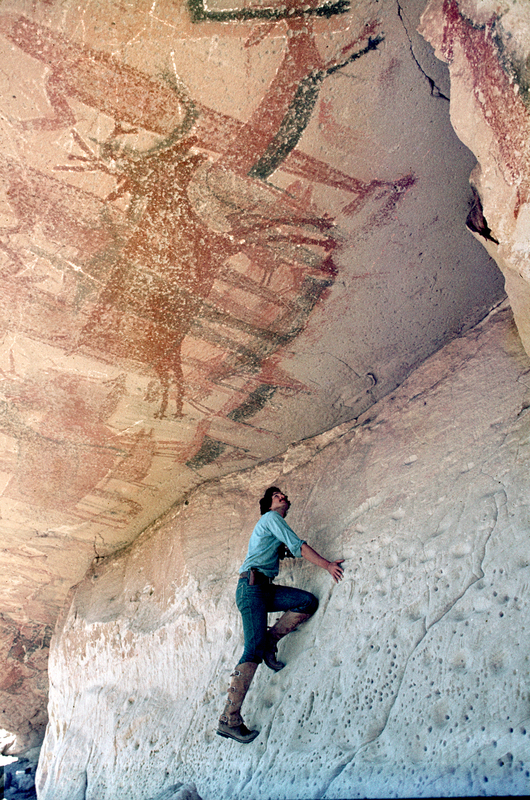 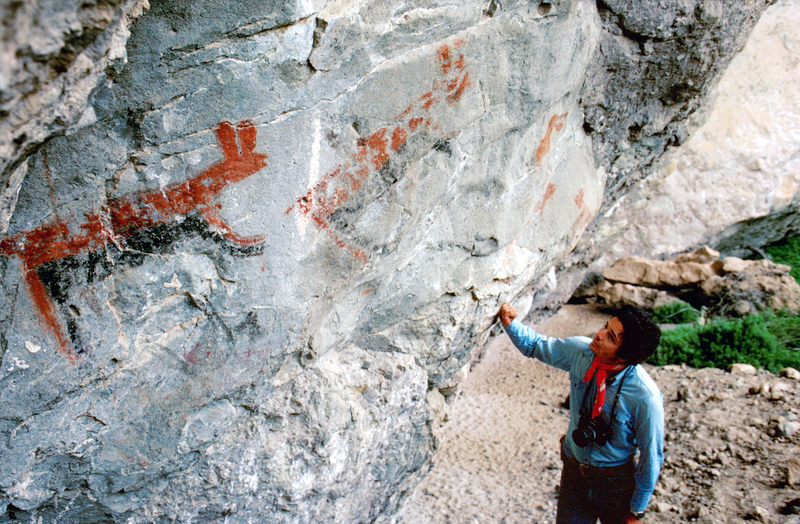 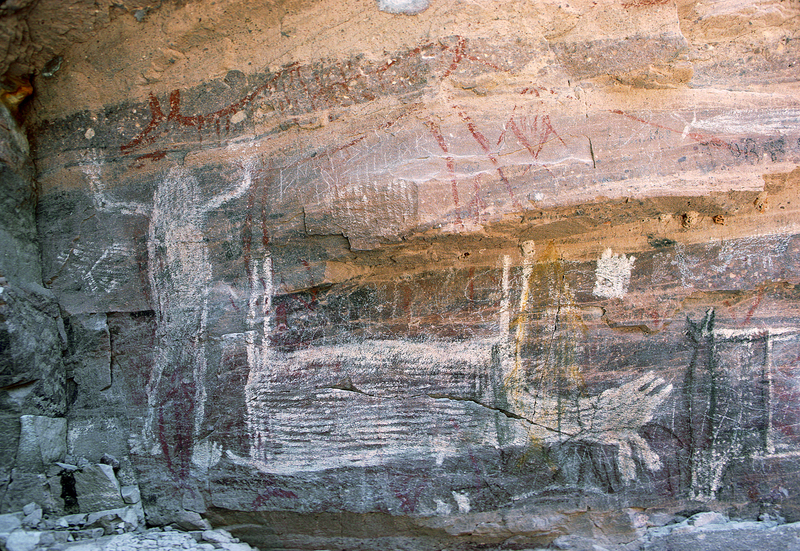 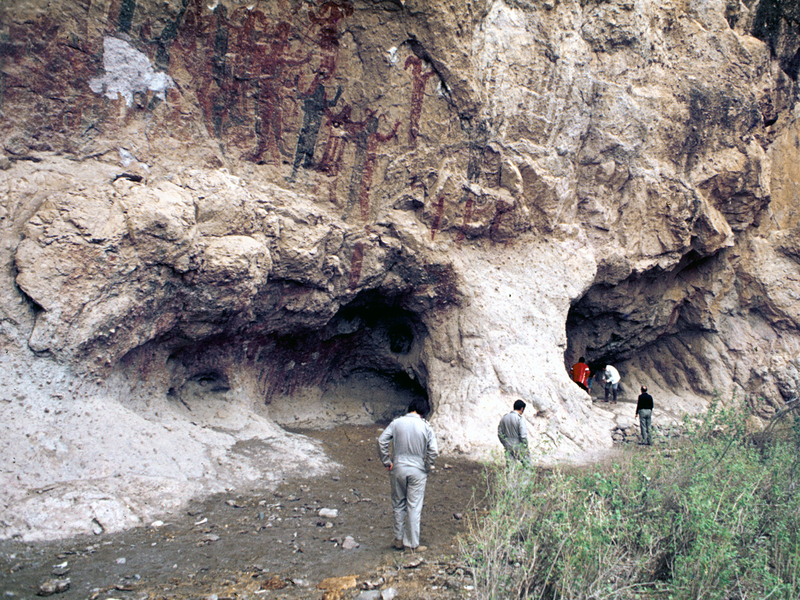 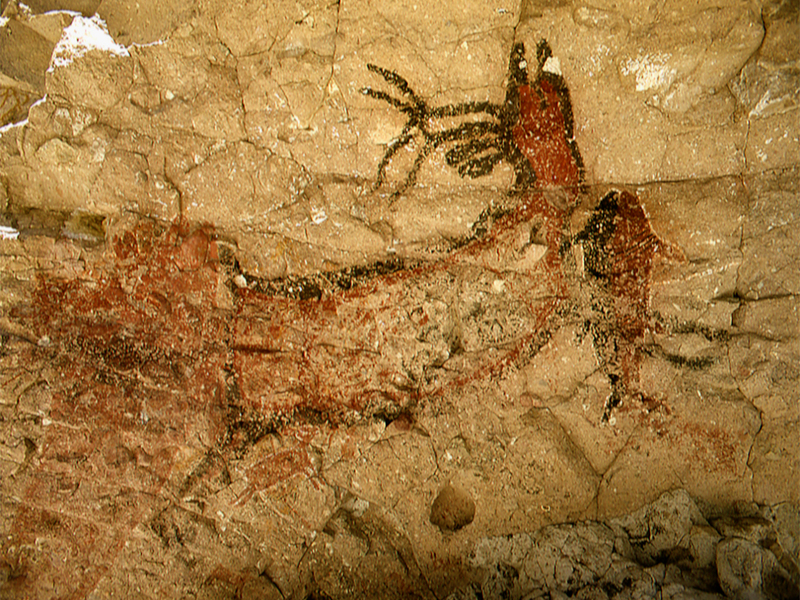 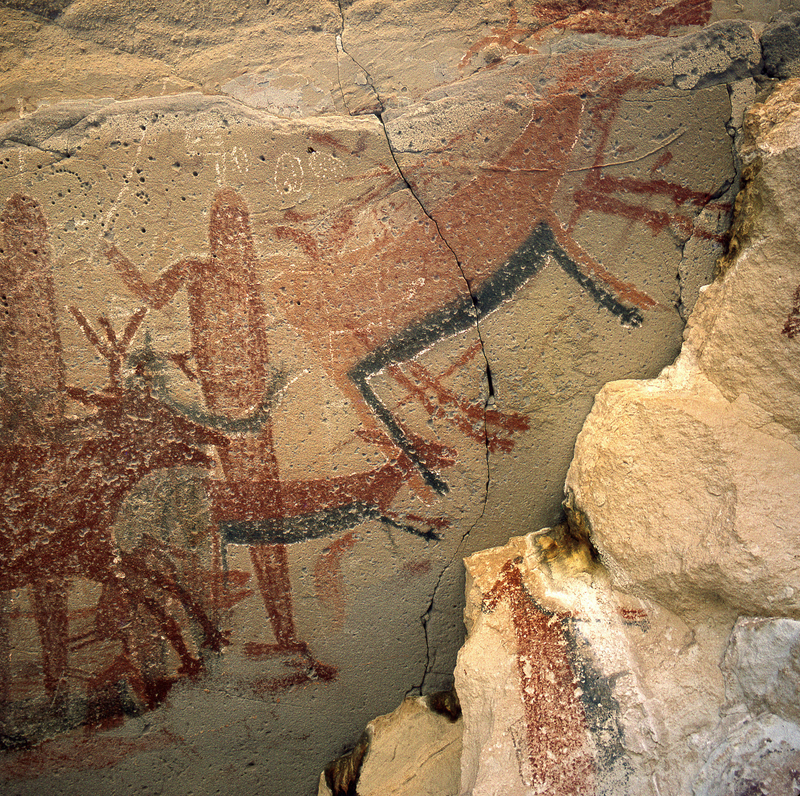 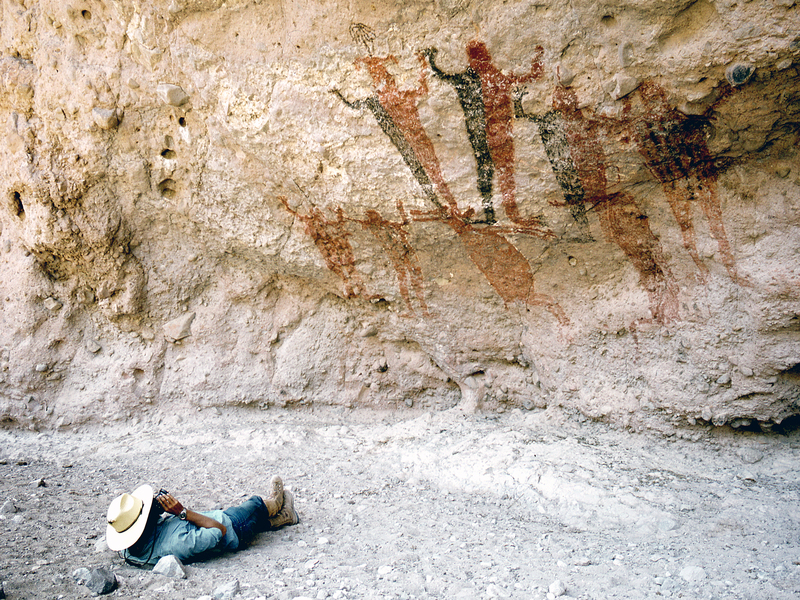 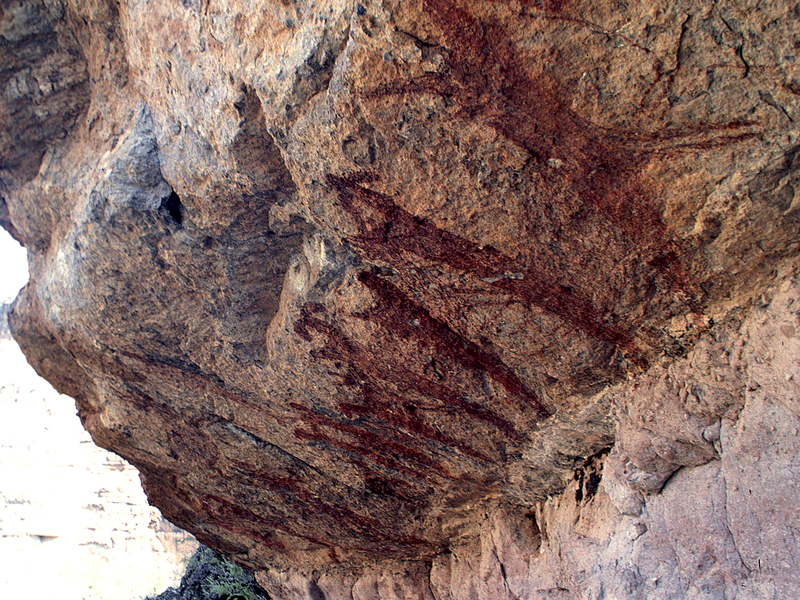 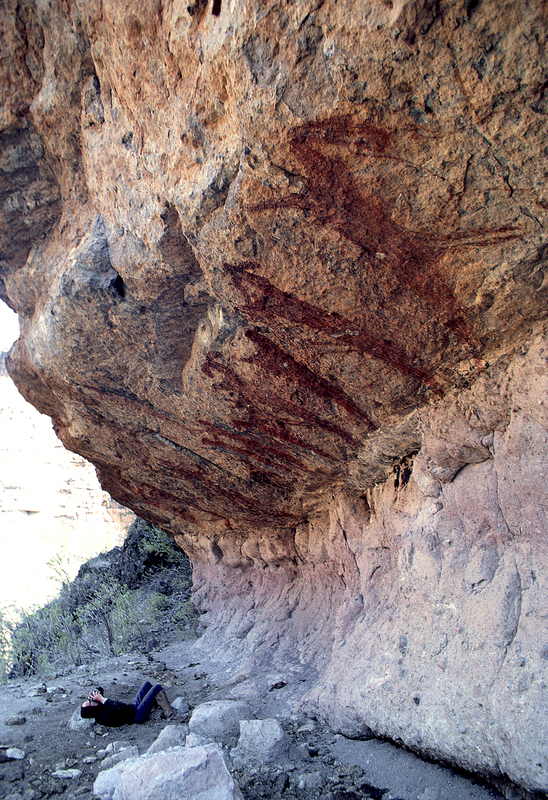 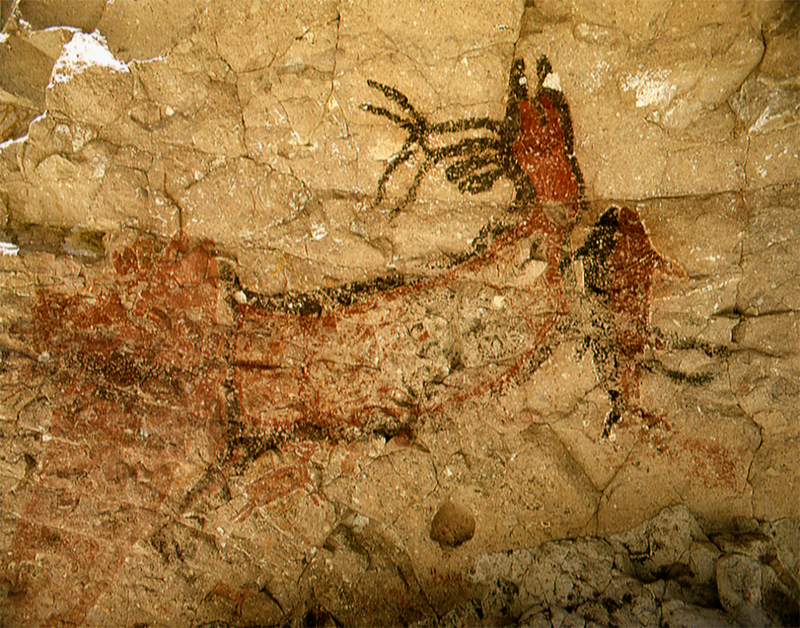 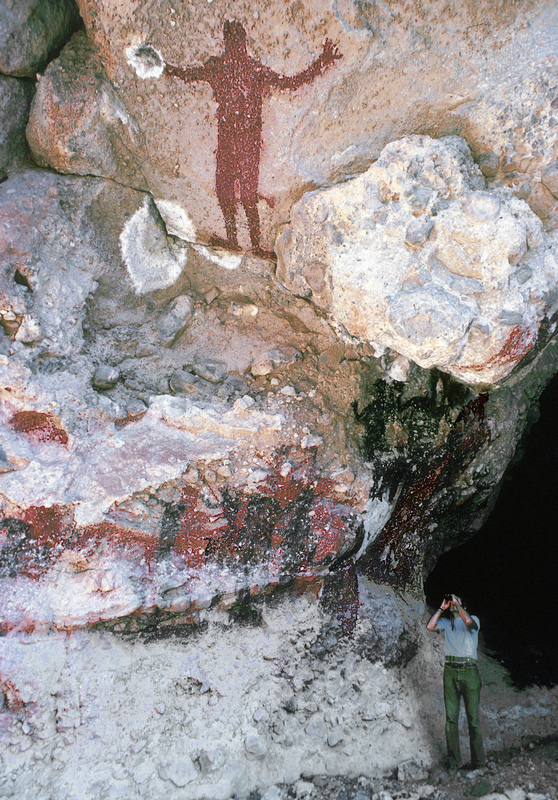 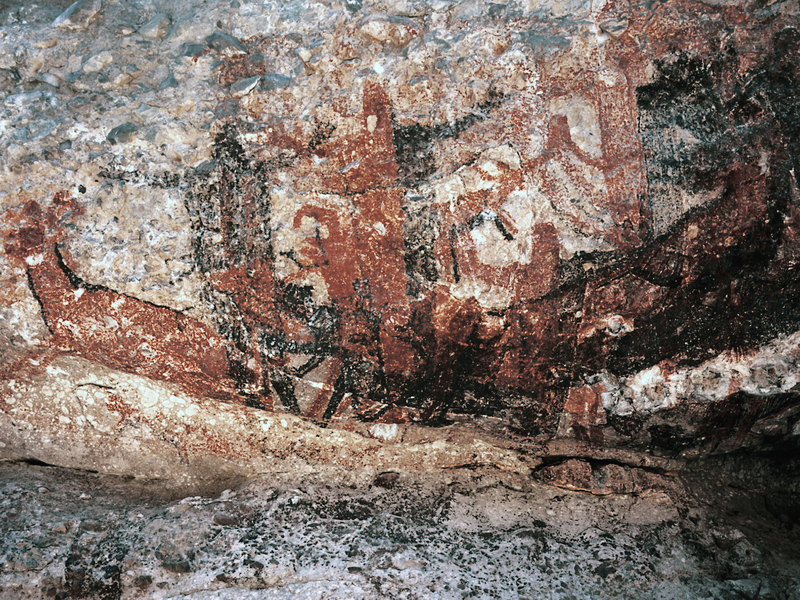 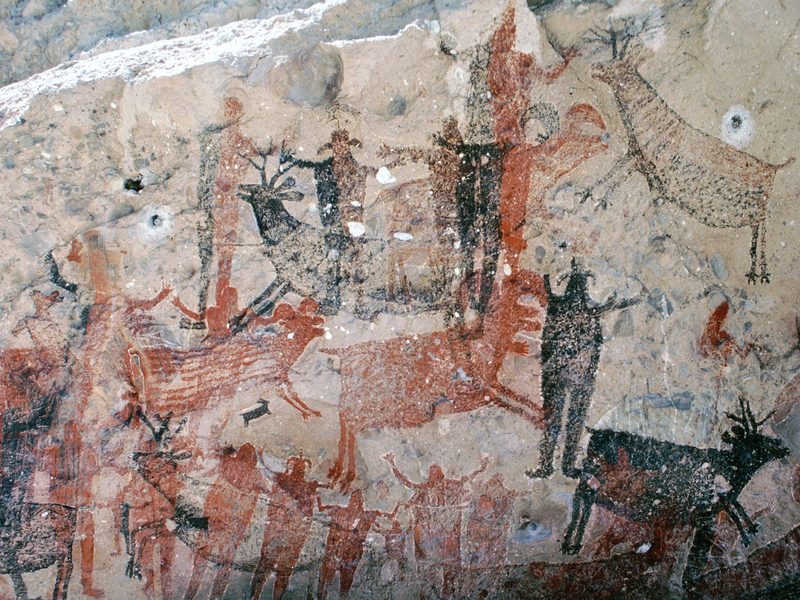 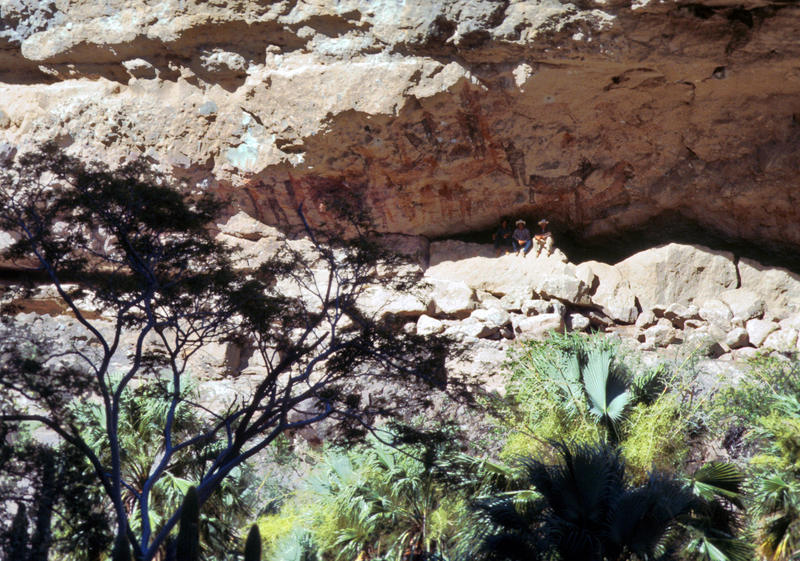 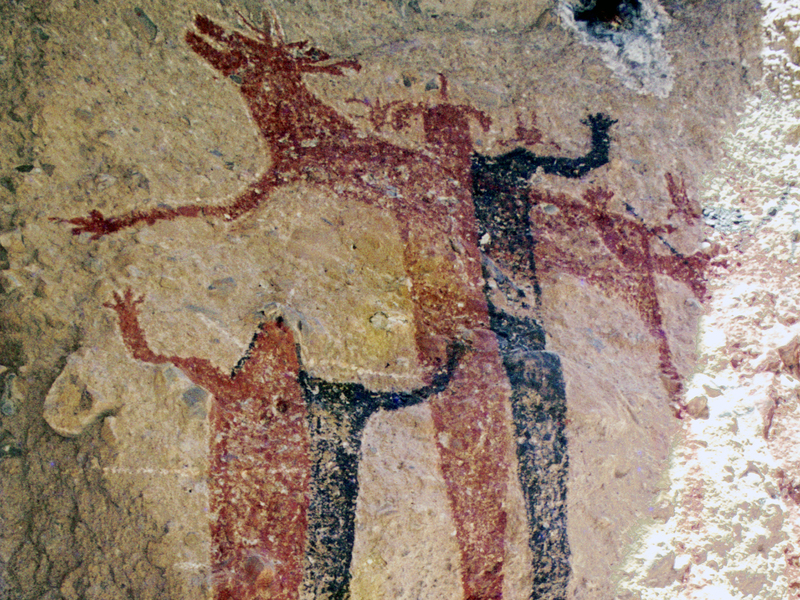 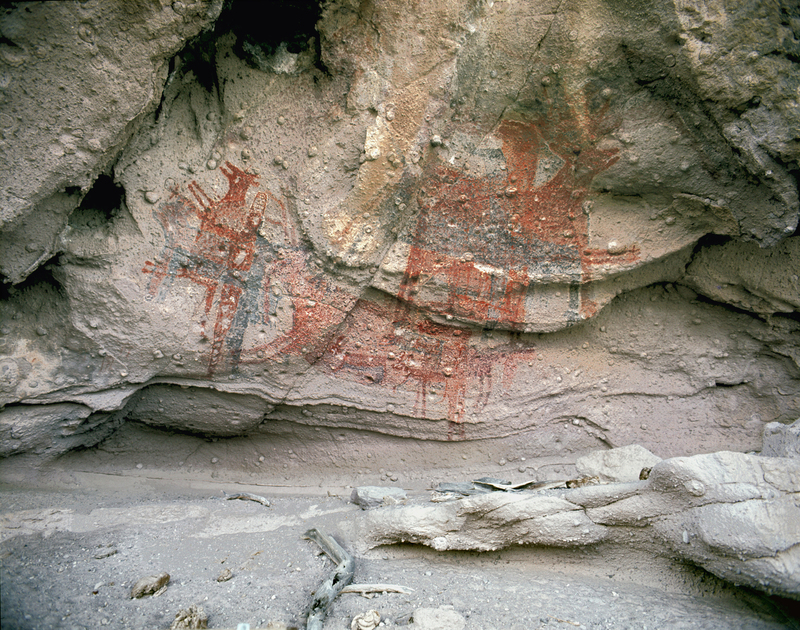 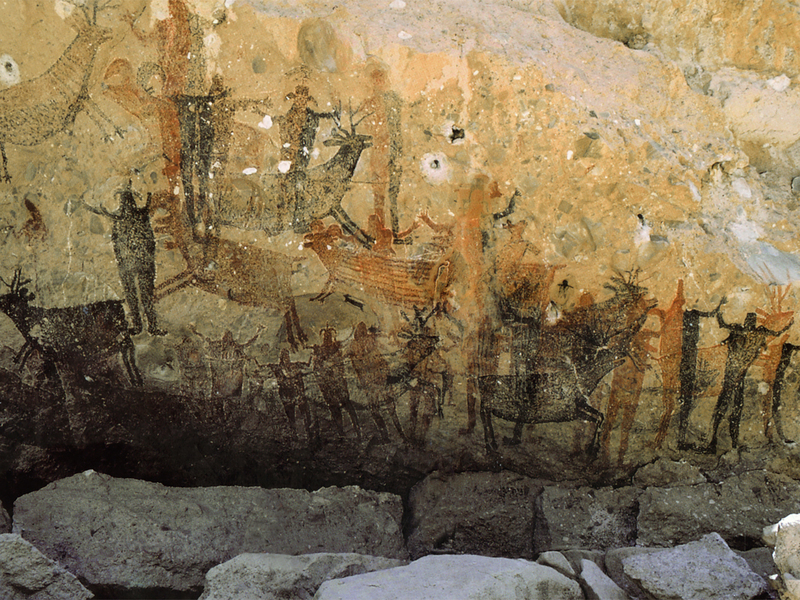 The Great Murals cave paintings represent one of the largest concentrations of rock art in the Americas, and some of its oldest. 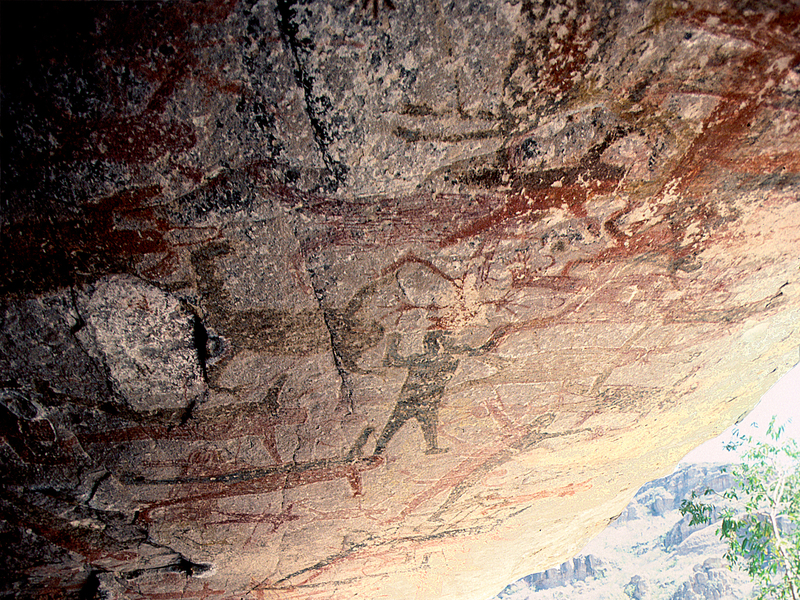 Created over thousands of years by an unknown people, the ancient paintings are rich in artistry and metaphorical significance. 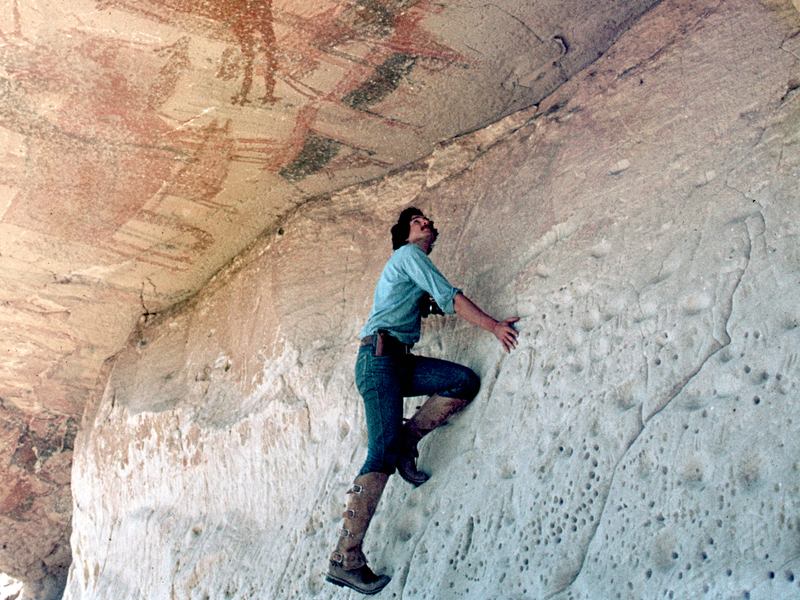 1976 marked the beginning of an odyssey in Baja California; the photographer Harry W. Crosby was commissioned to provide photographs for a publication to commemorate California's bicentennial. 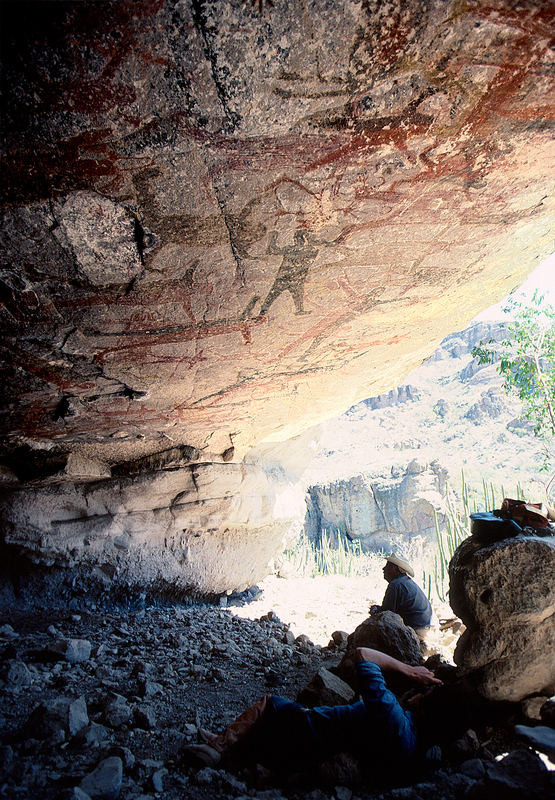 He was given the task of following the route of the 1769 Portolá Serra expedition. 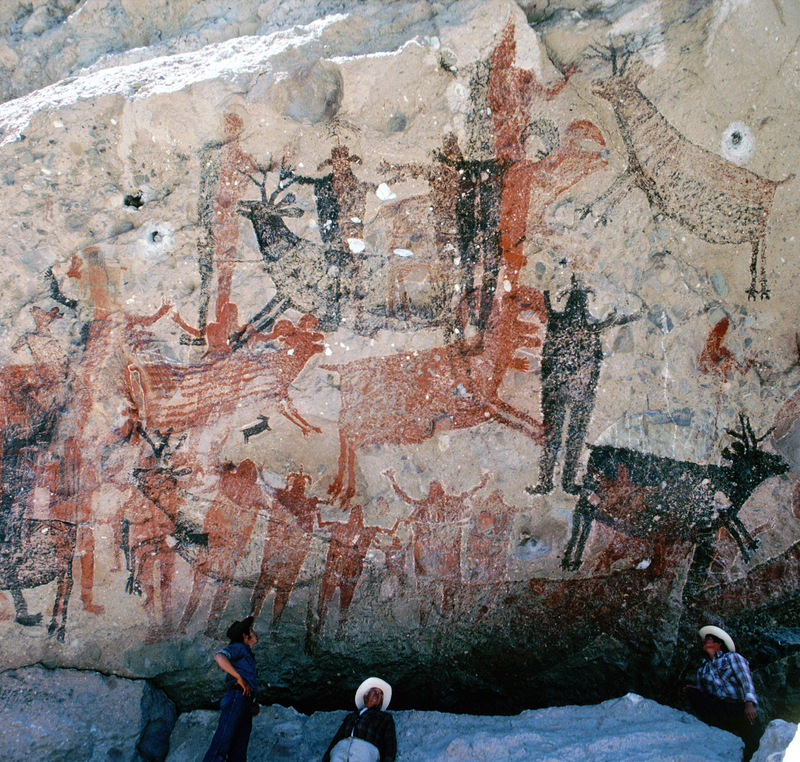 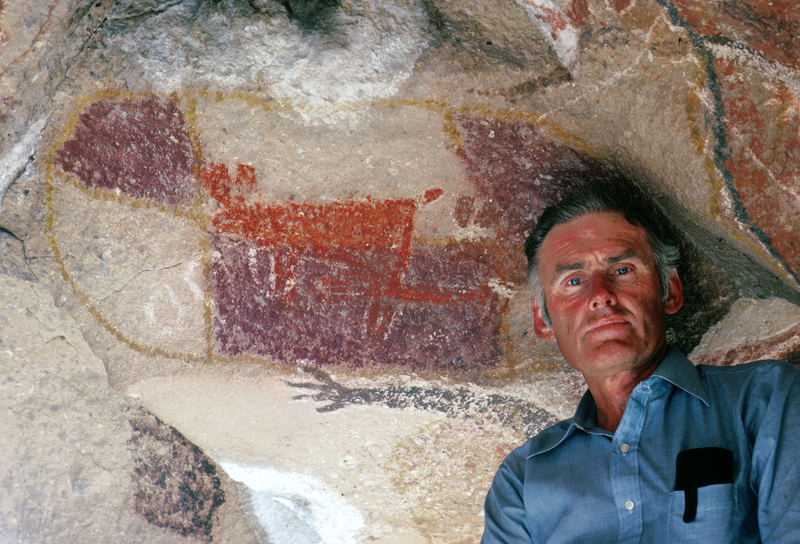 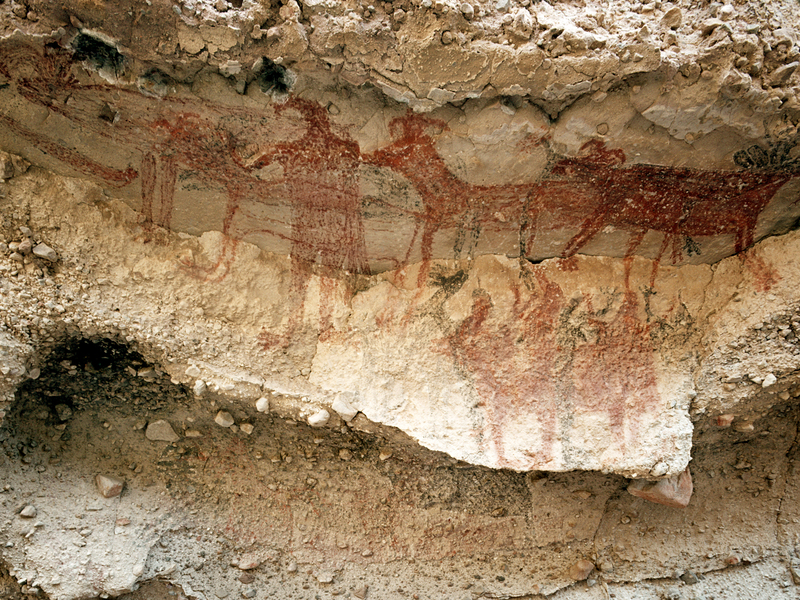 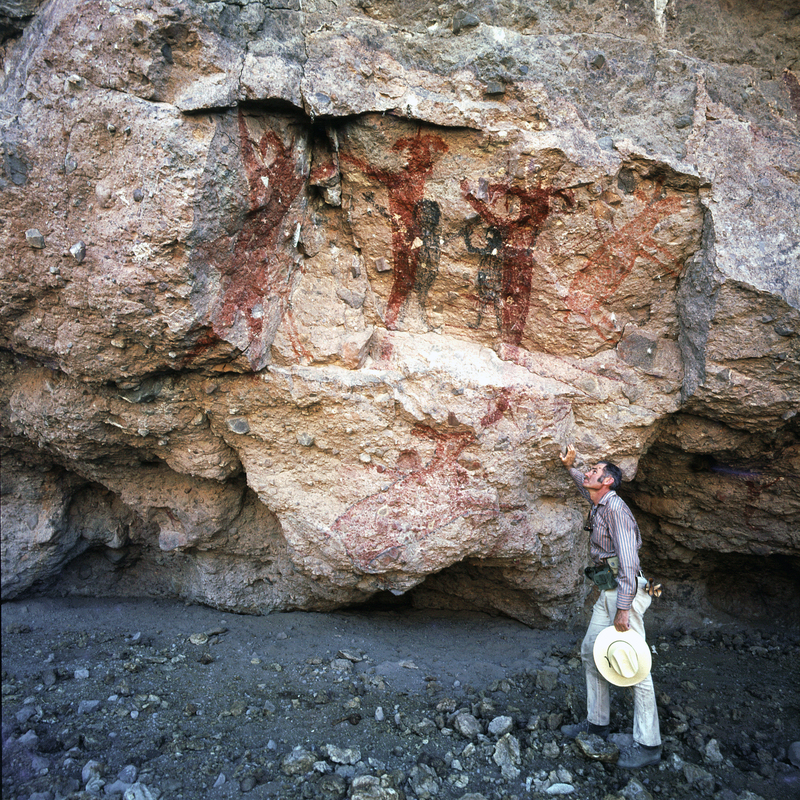 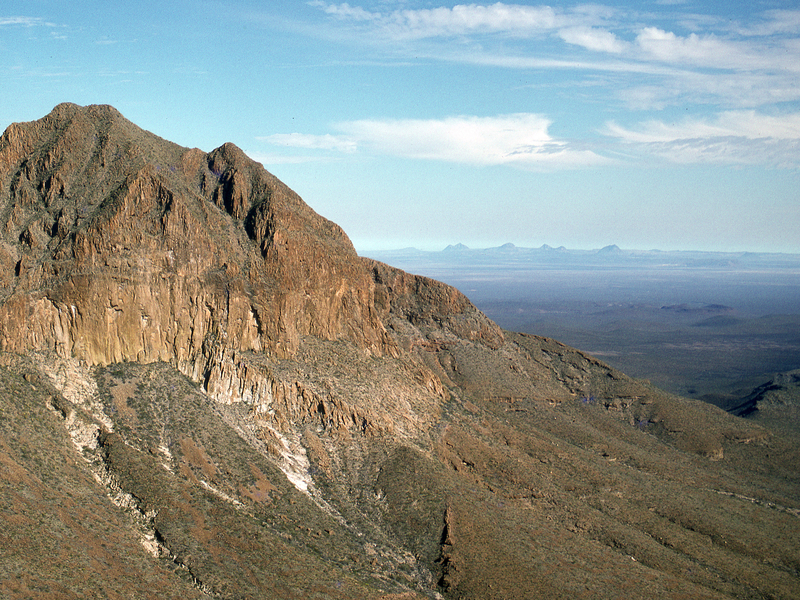 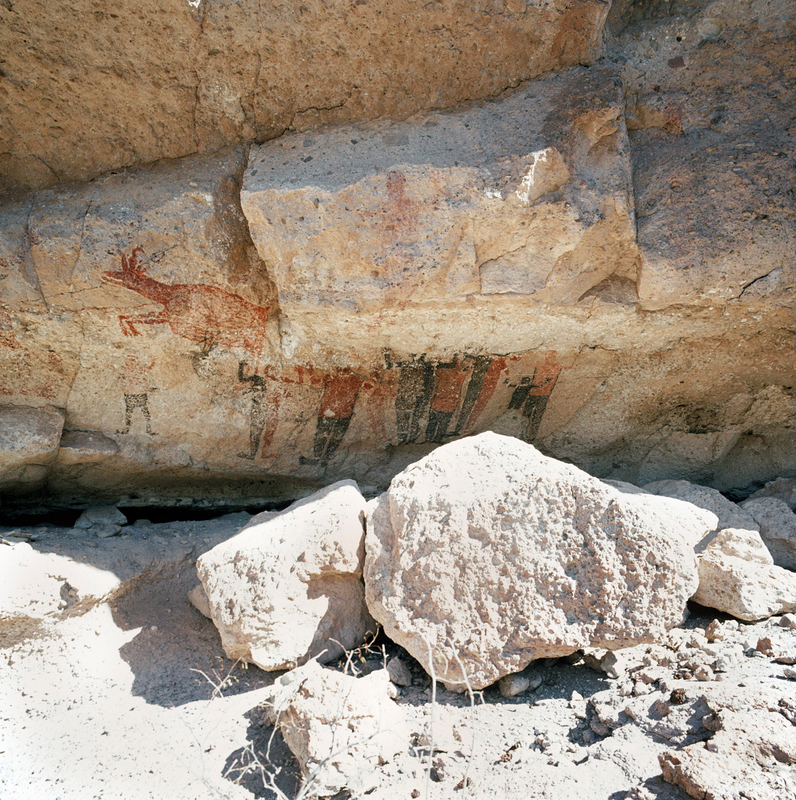 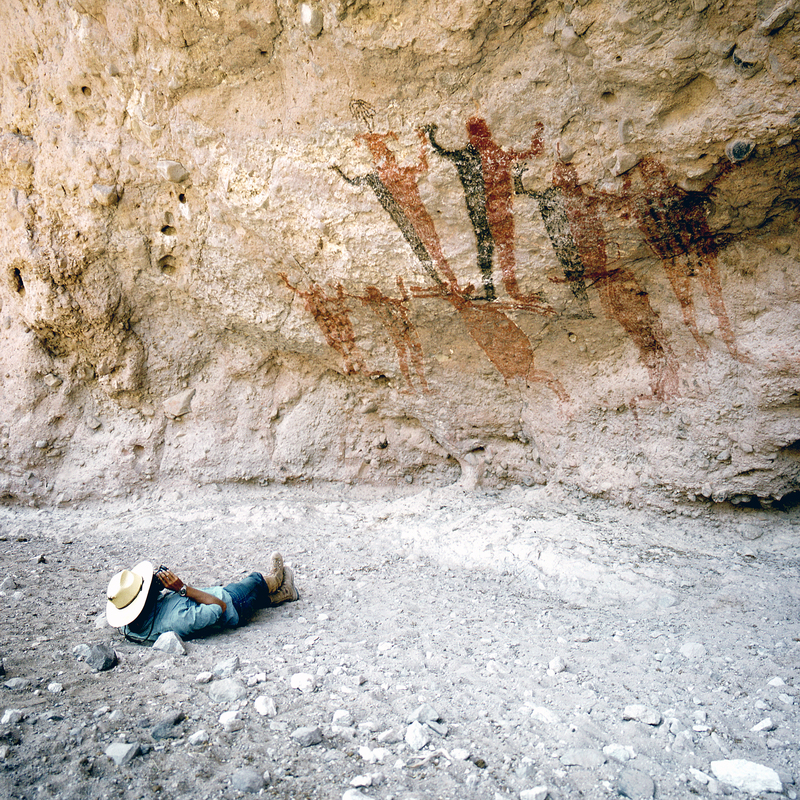 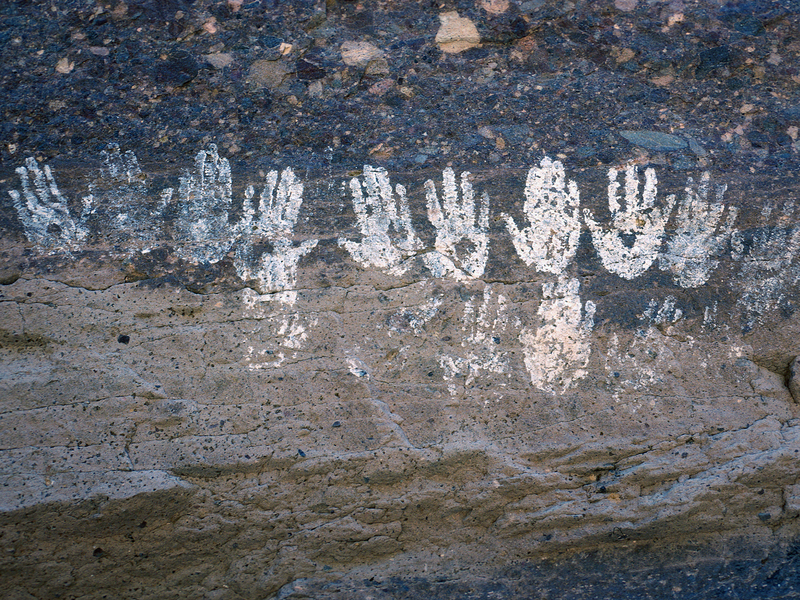 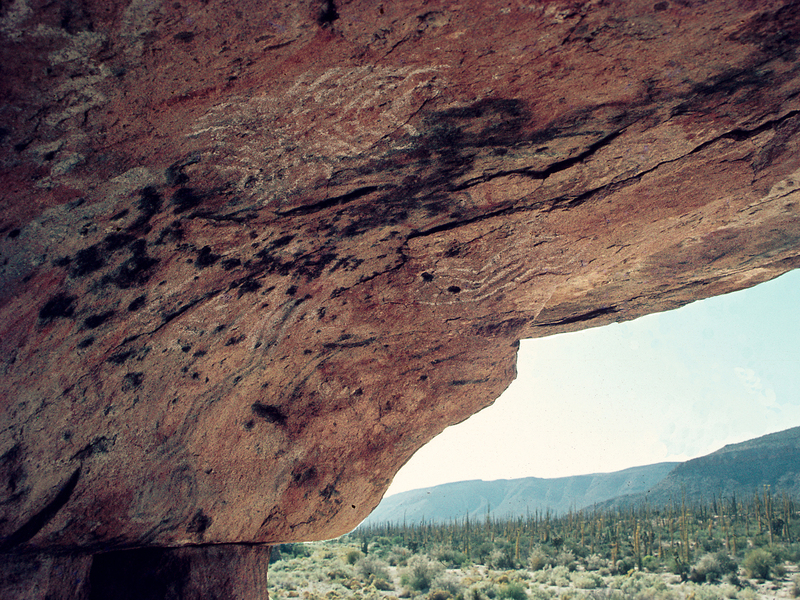 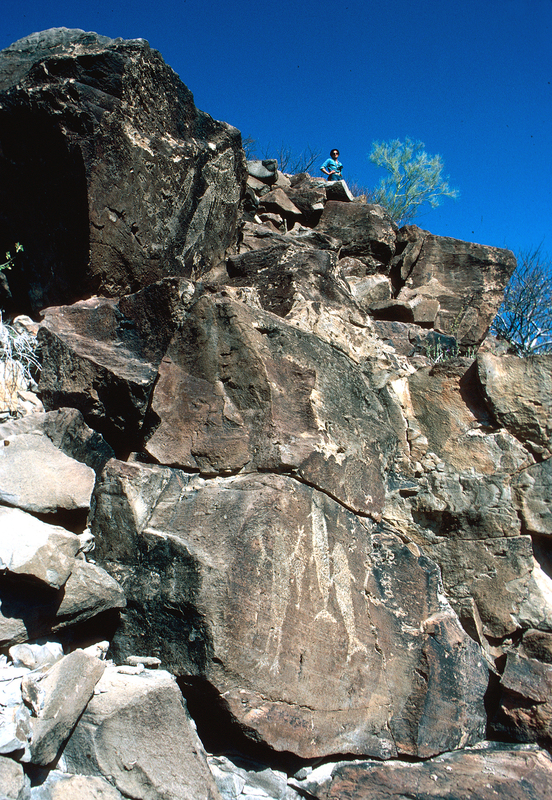 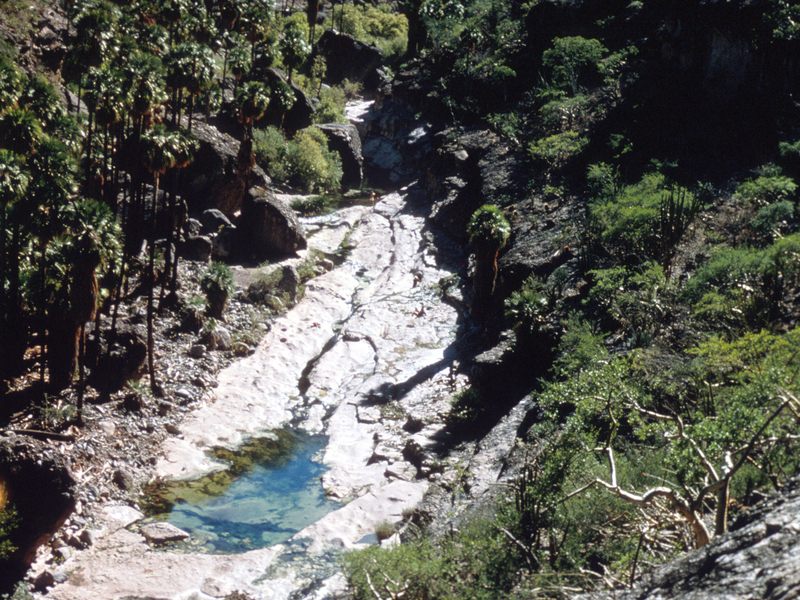 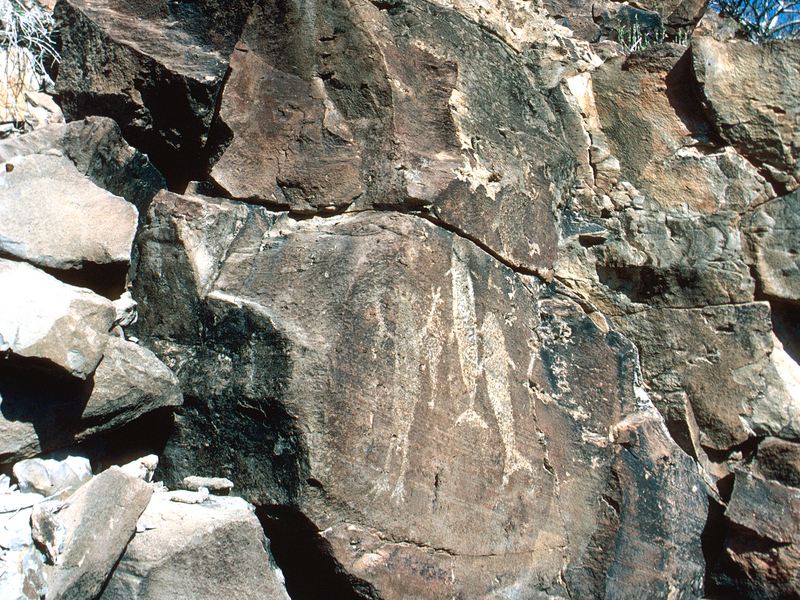 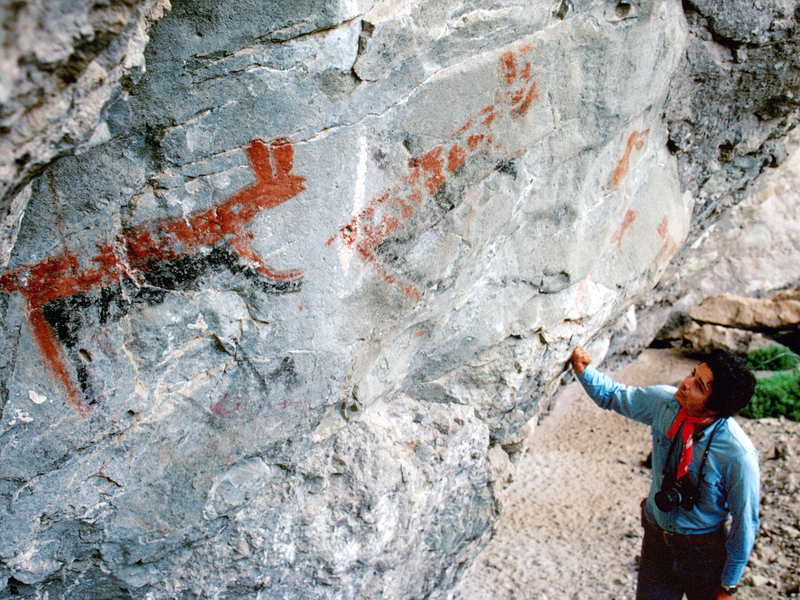 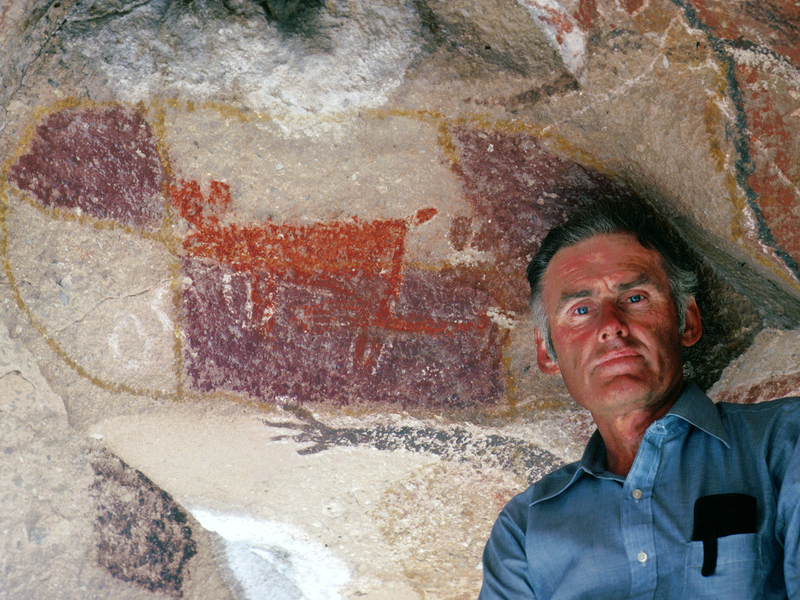 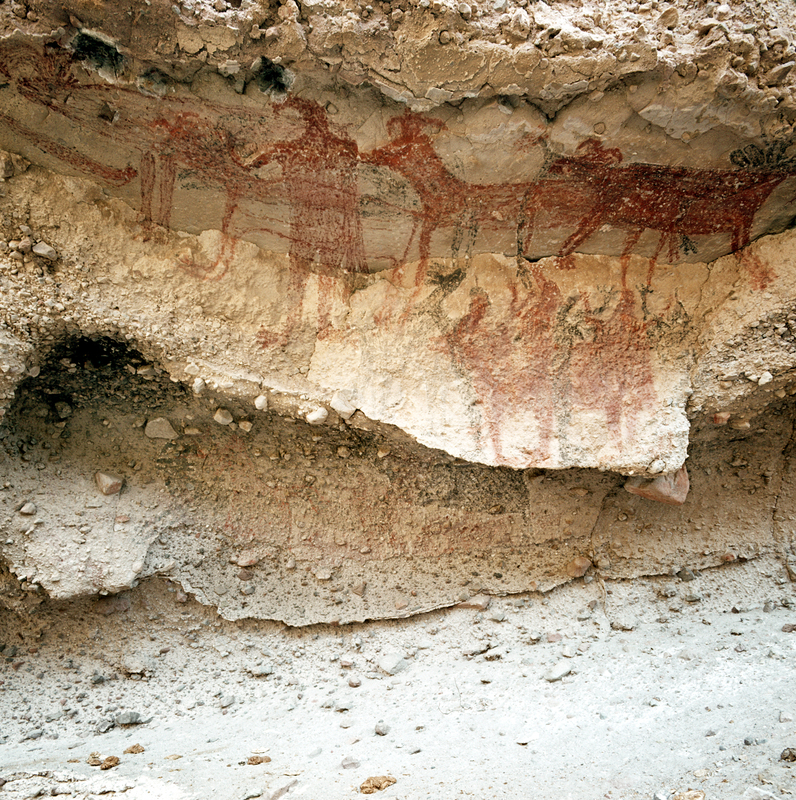 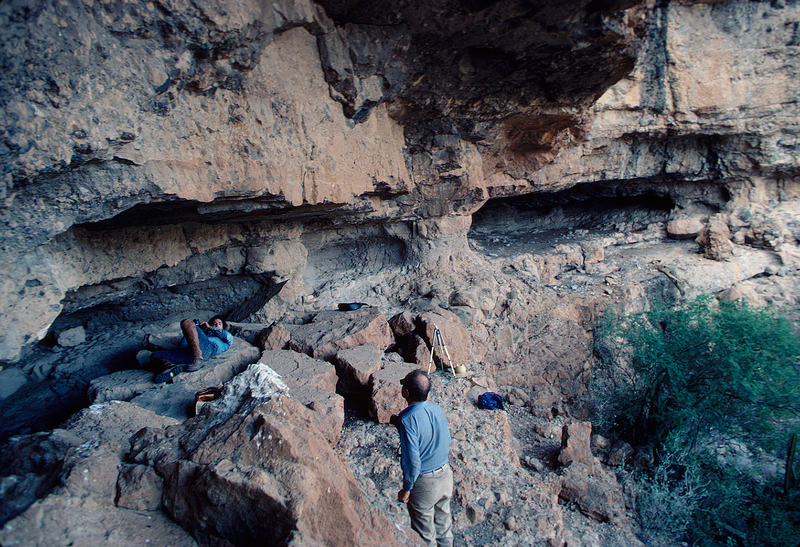 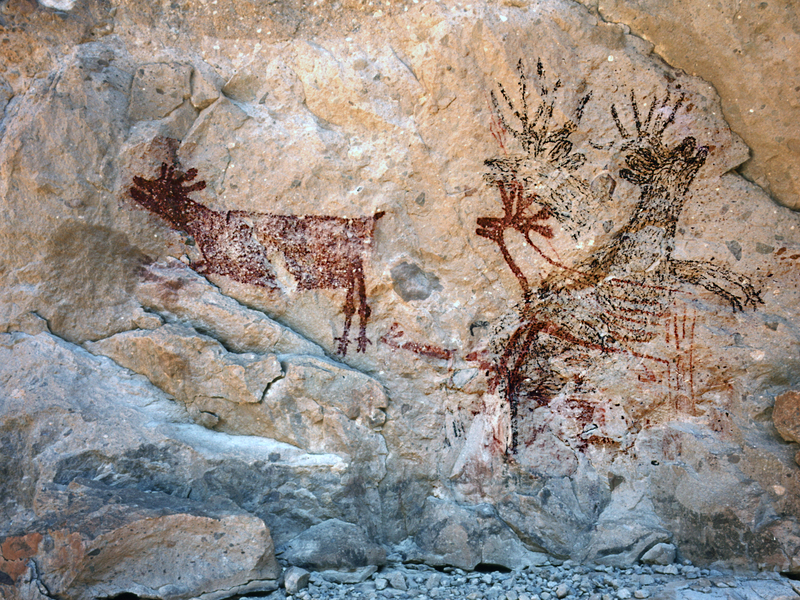 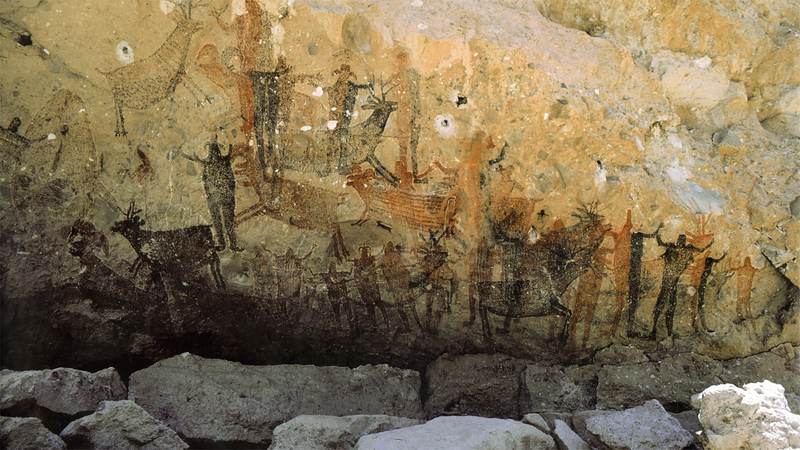 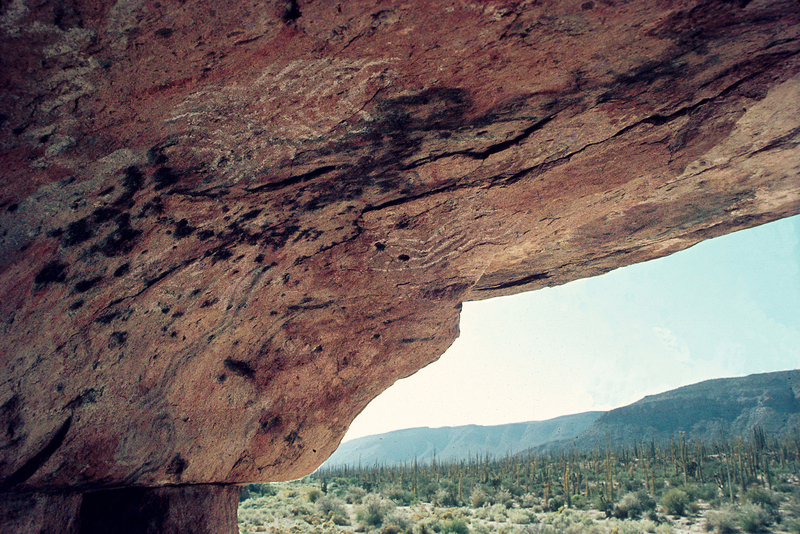 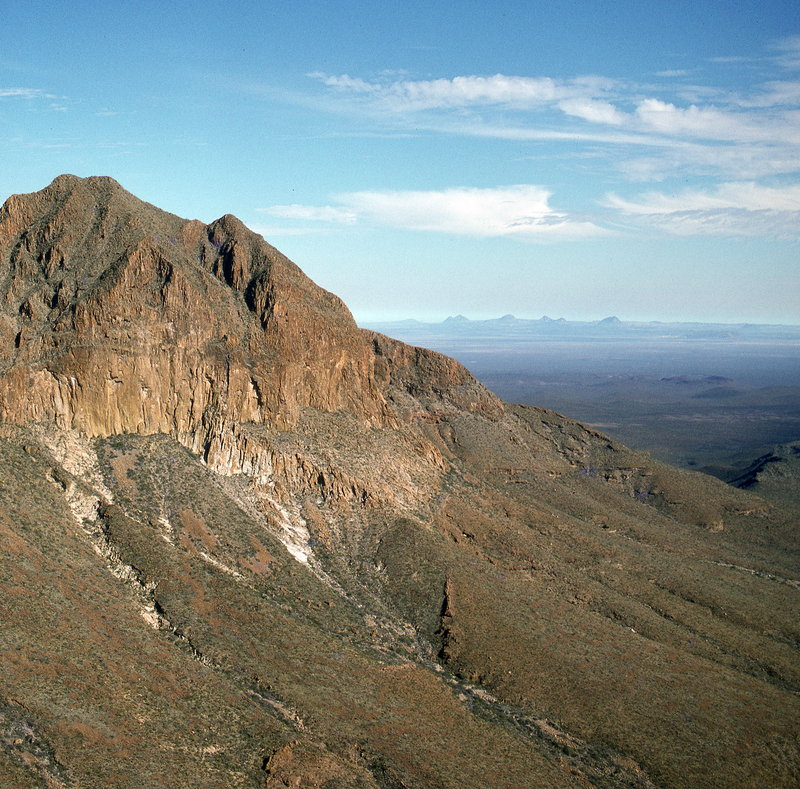 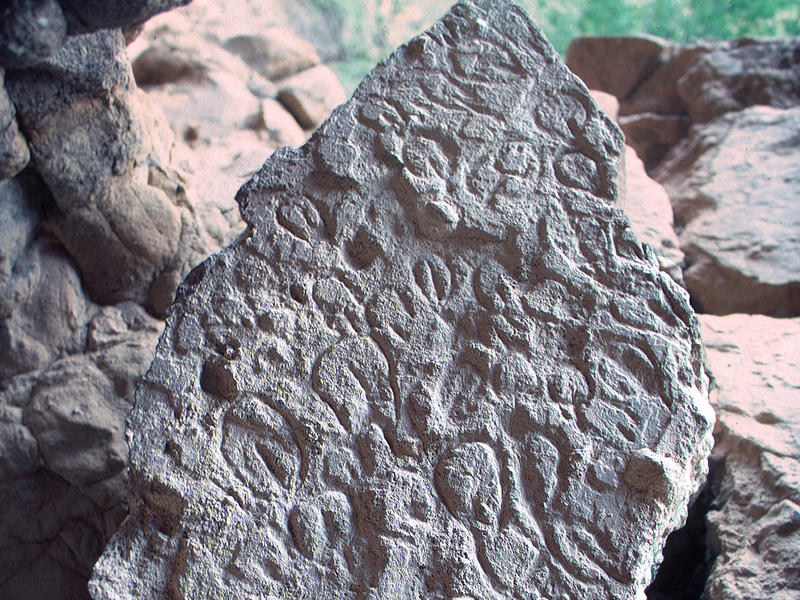 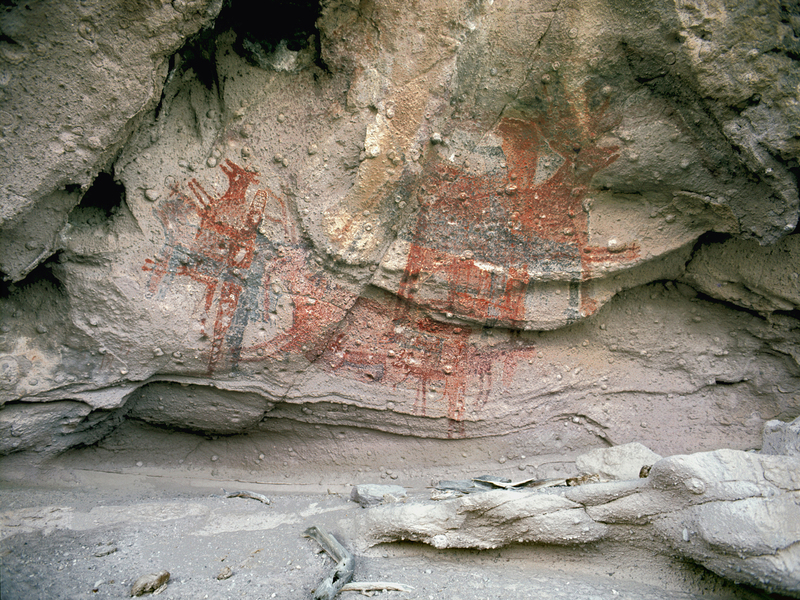 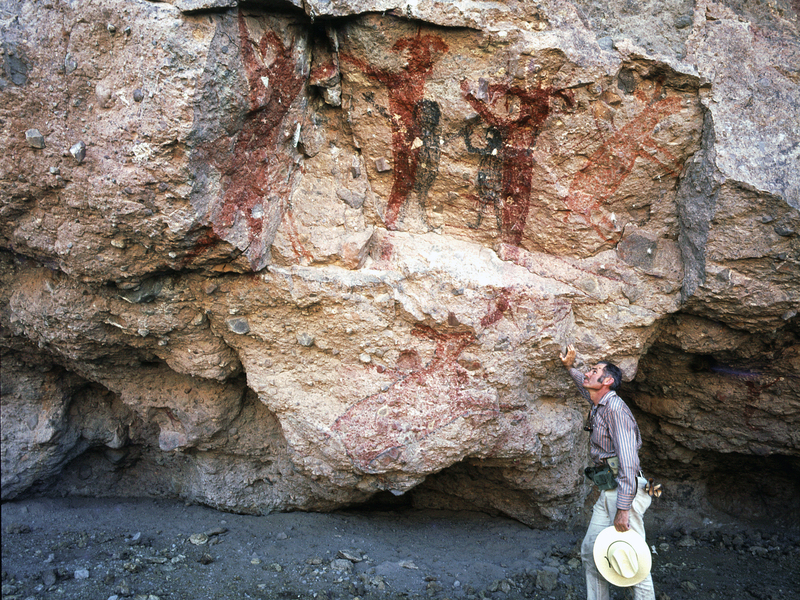 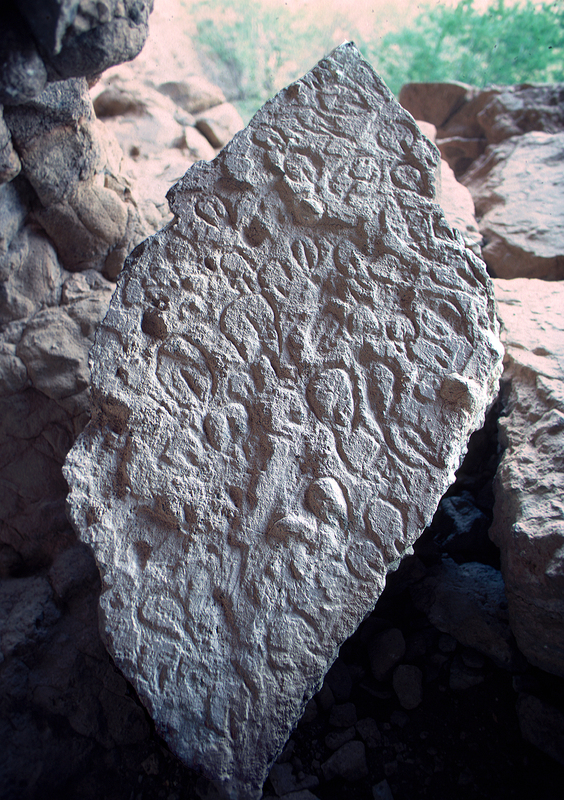 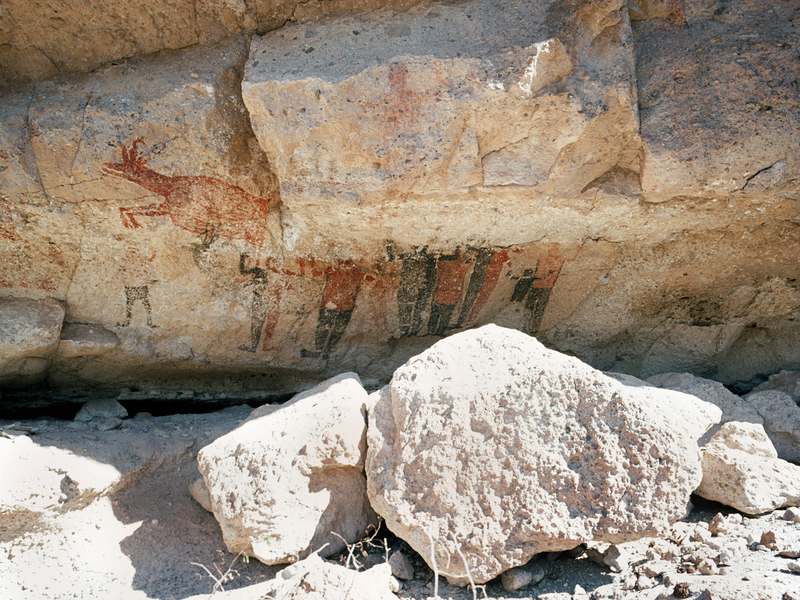 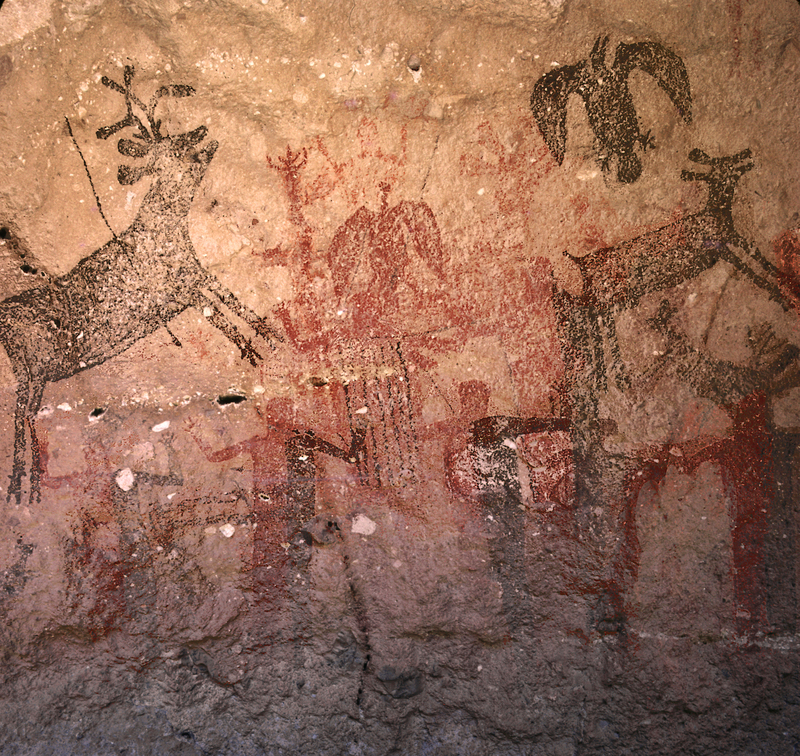 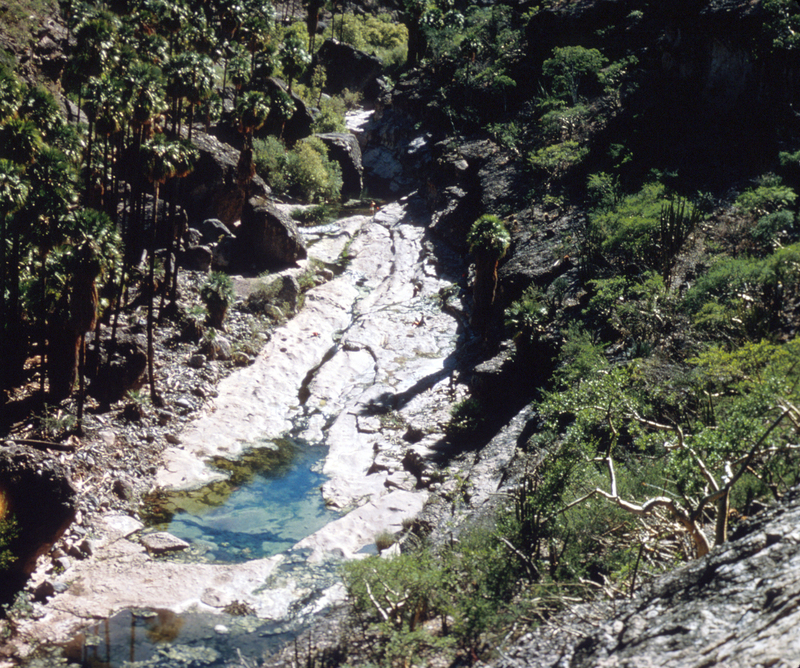 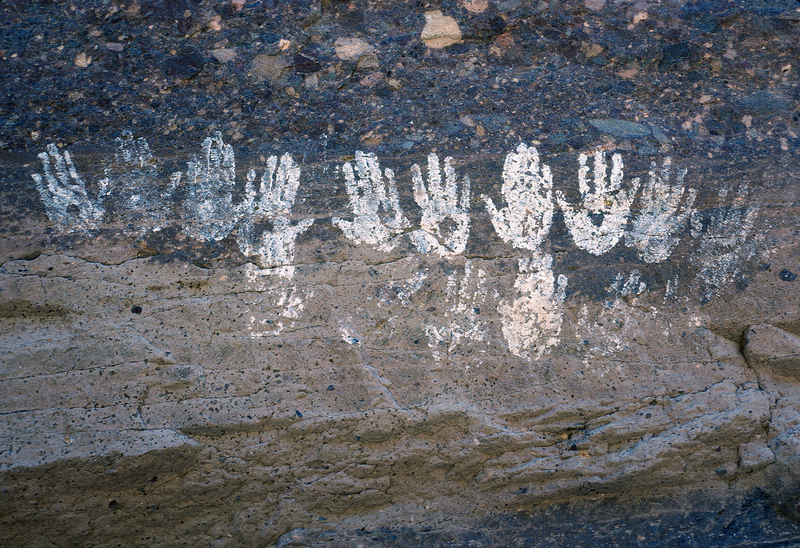 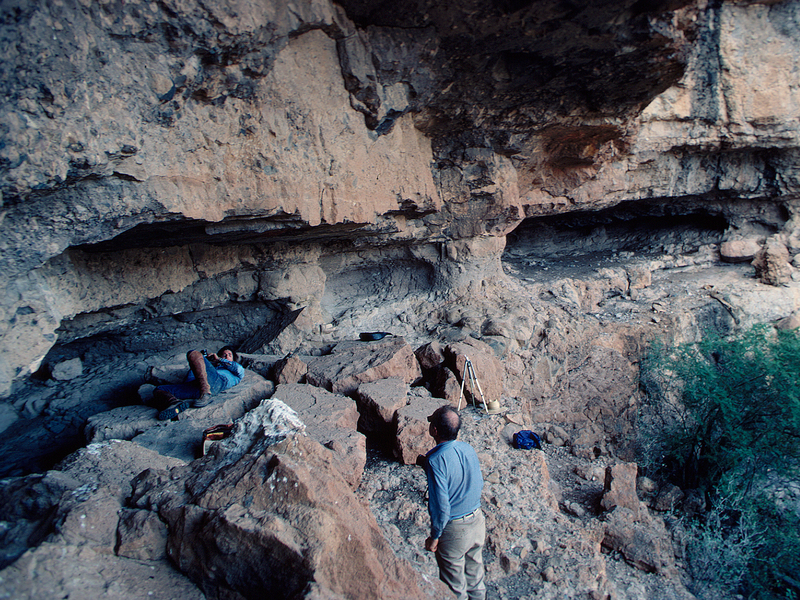 One expedition led to many, and over the next few years Harry W. Crosby and his team would ride more than 1,000 miles in Baja California, on mule-back and on trails far from the road, to its remotest areas where he would encounter the spectacular rock art of this region, much of which remained undocumented. 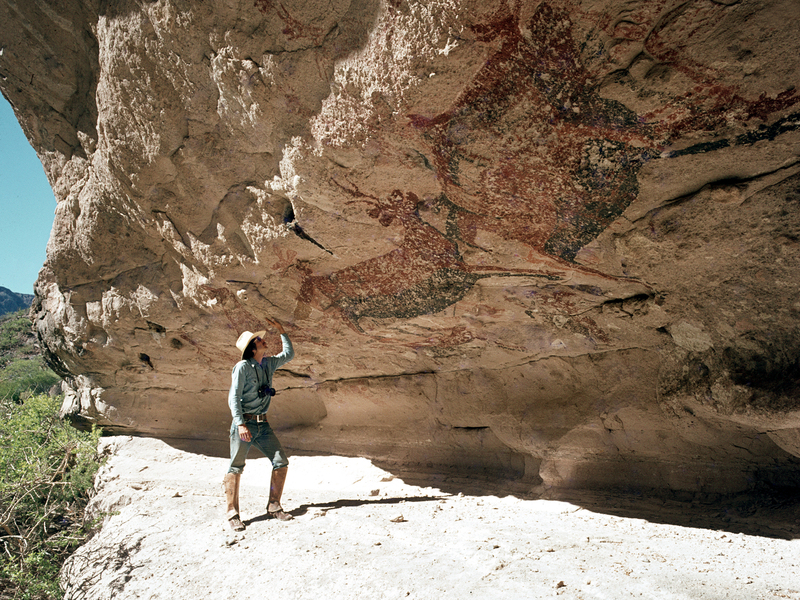 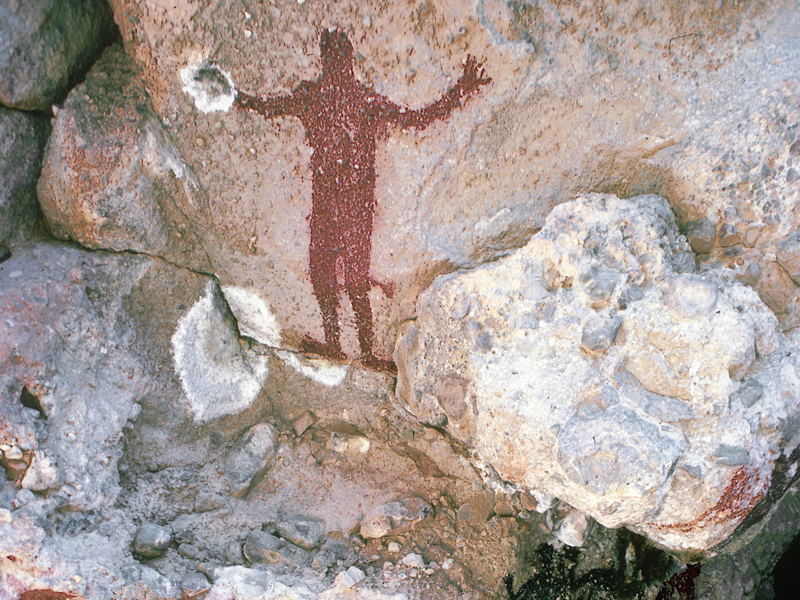 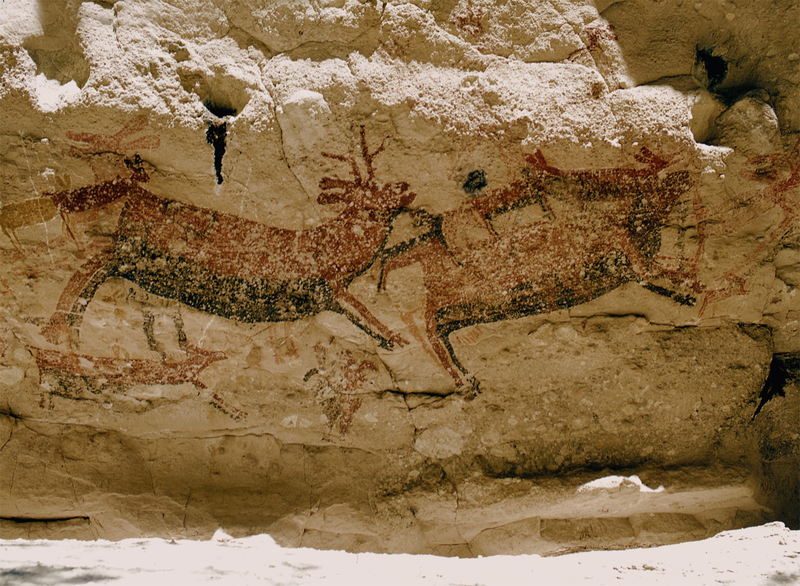 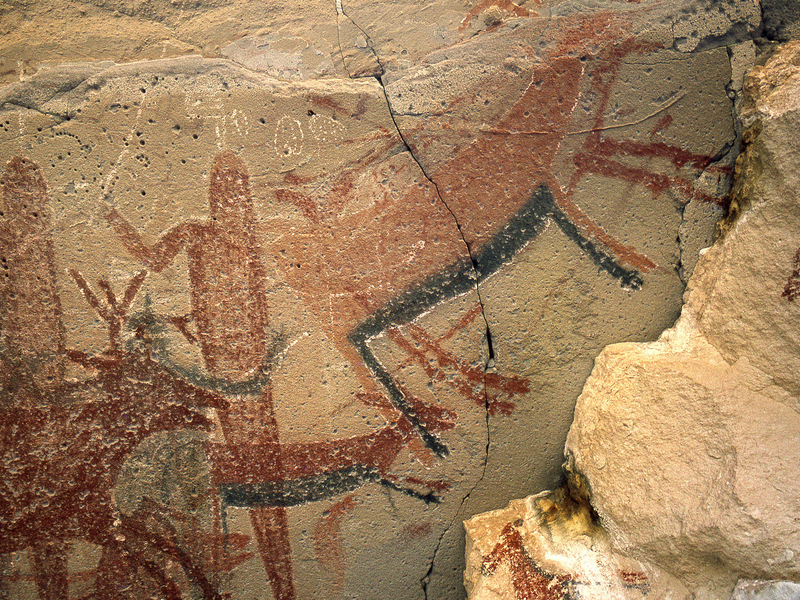 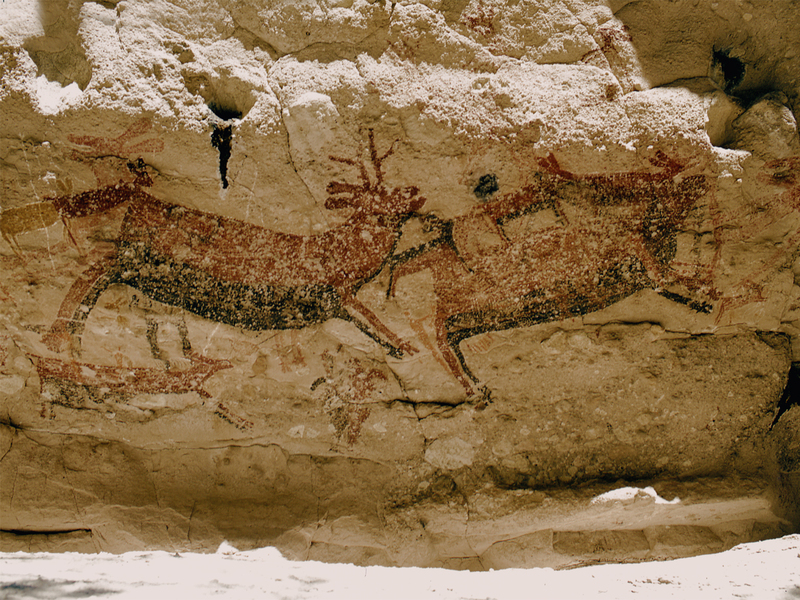 The documentary film 'BAJA CALIFORNIA: In Search of Painted Caves' follows this epic journey, featuring original cine footage, through the rugged mountains and desert canyons on an artistic quest.